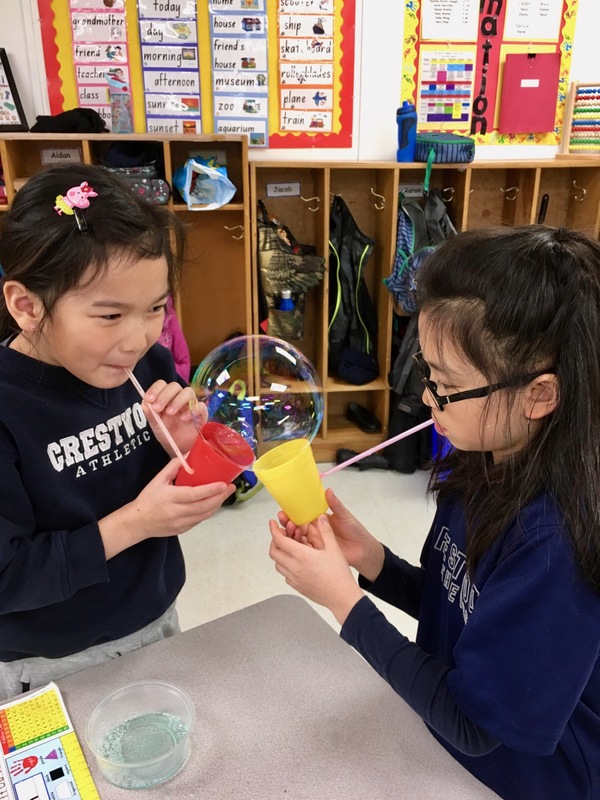 Crescent School is having a US (mini) Fair on Tuesday, April 9th from 6pm-8:15pm. 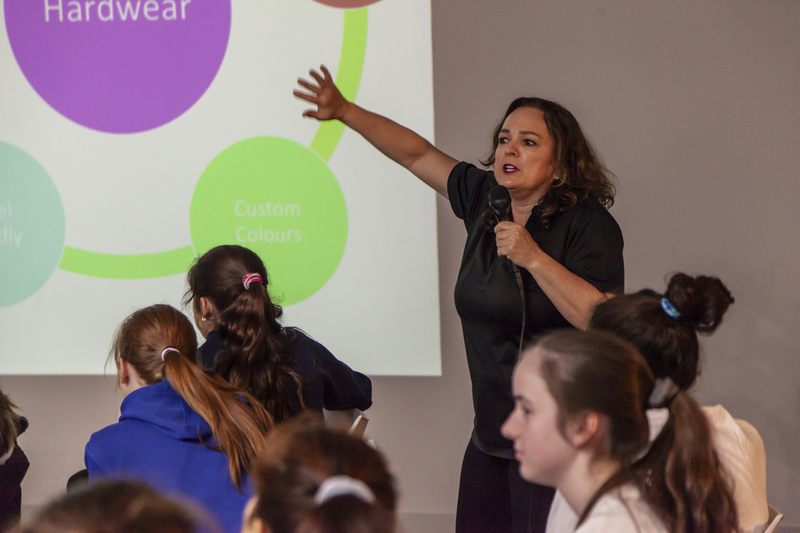 -What extracurriculars should I be involved in? 7:00-8:15 pm – Parents are welcome! Each university will have the opportunity to present, followed by Jenika Heim on the US Admission process. This year’s Sporting Life 10K will be on Sunday May 12th. If you are interested in volunteering for this event, please see Ms. Hann in the guidance office by Friday April 12th. Crestwood students will received approximately 6 hours of community service for this event. 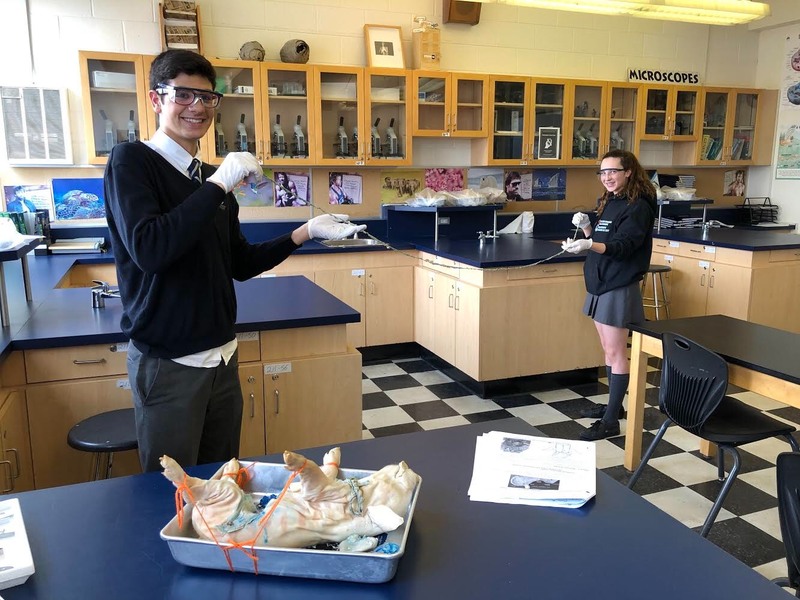 Since returning from break, our Grade 11 biologists have engaged in a fetal pig dissection to get a hands-on appreciation for the complexity of living things, analyze the structures and functions of various organs, and improve their lab skills. 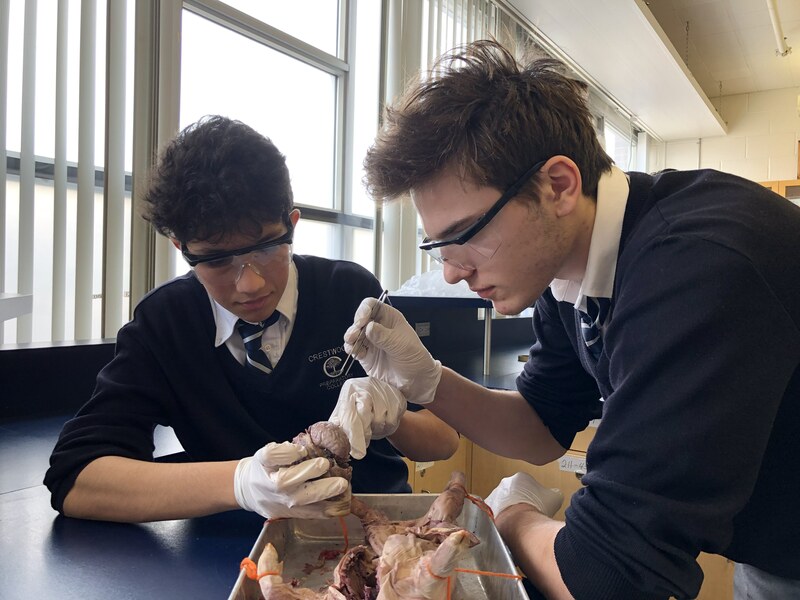 A few groups even finished early and were able to get a clear view of the brain! 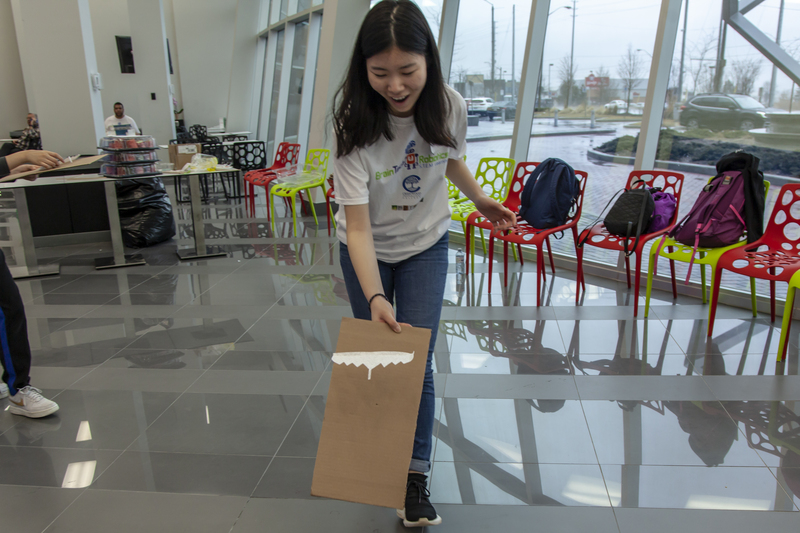 This past Saturday, 28 girls went out to represent CPC at an all girls STEM tech robotics event in Vaughan. 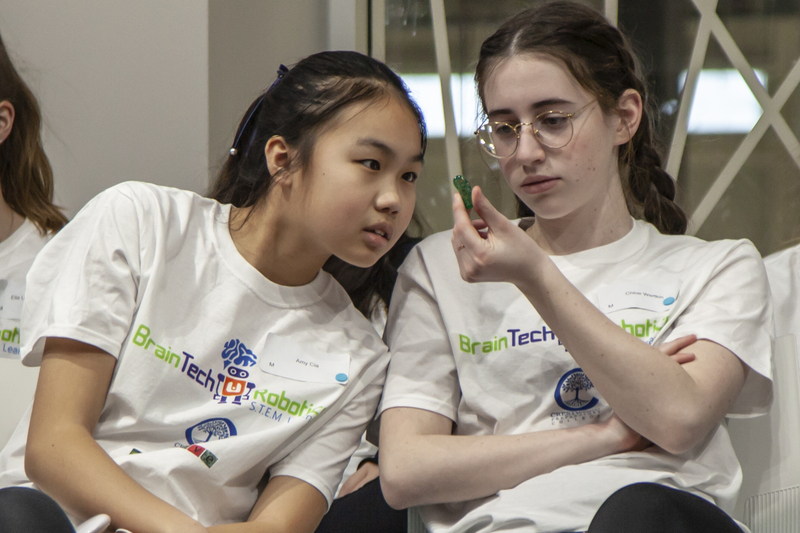 They spent a full day learning about augmented reality, flight dynamics, structural integrity, and building robots controlled by a microcontroller (Arduino). 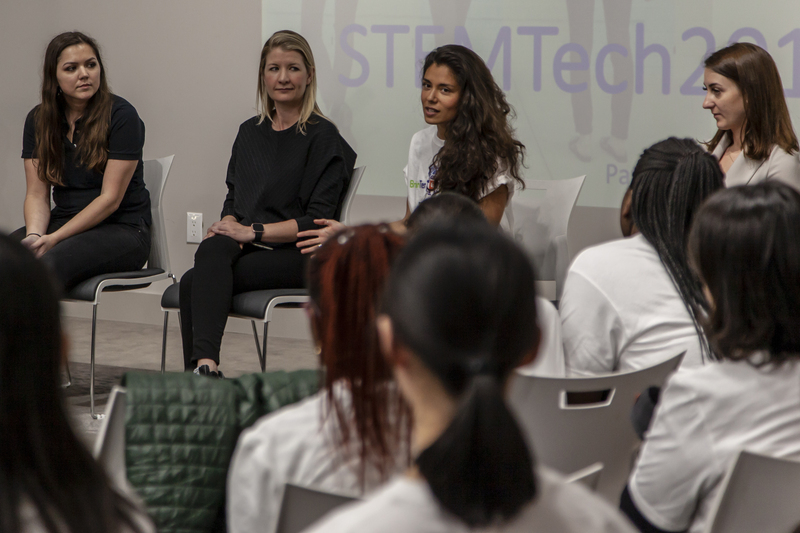 They also heard from many female speakers who found success in the STEM field from the US and Canada. The enthusiasm was outstanding! 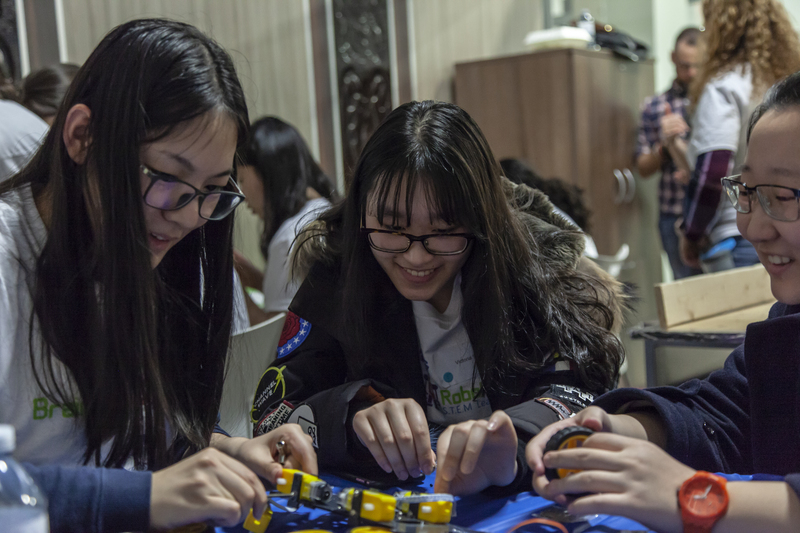 So much so that we will be doing an in-house follow up event in May to give the girls more hands on time with the robots. 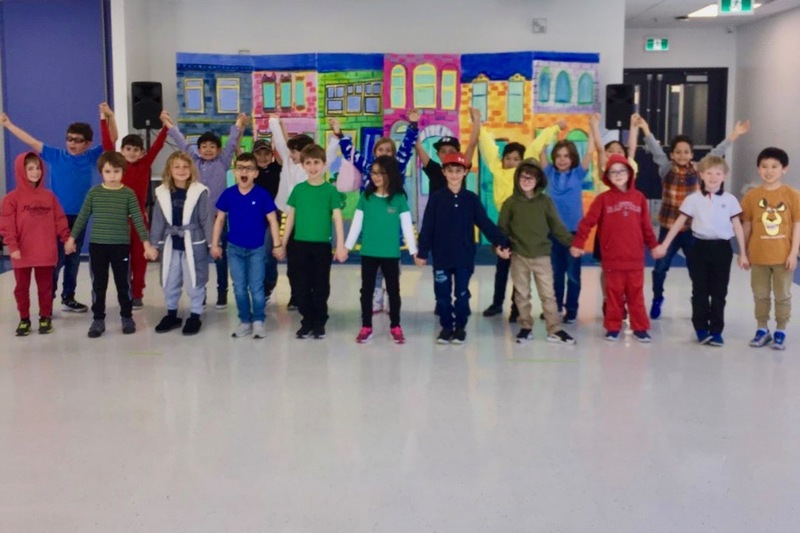 This afternoon, Grade 2 put on an incredible performance of Character Street. 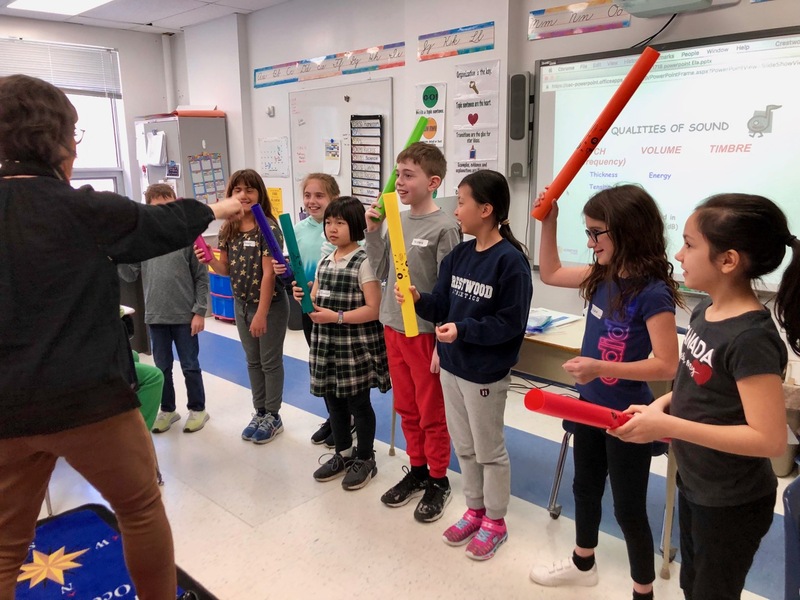 This musical teaches us about respect, responsibility, self-discipline, and kindness. These students have spent the last 3 months preparing for this musical and it did not disappoint! 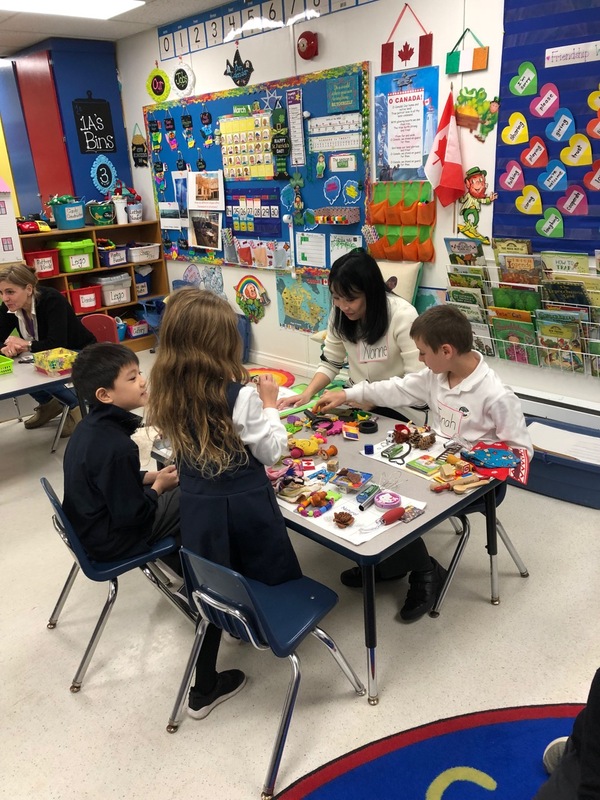 We would like to thank Ms. Romanenko and the art committee for the beautiful sets! Please view the final exam schedule below. 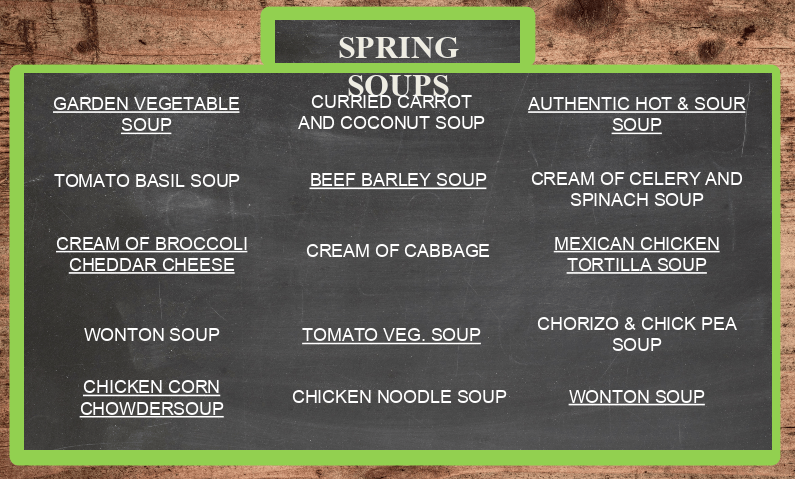 Our next pizza lunch is this Friday, April 12. The P.A. 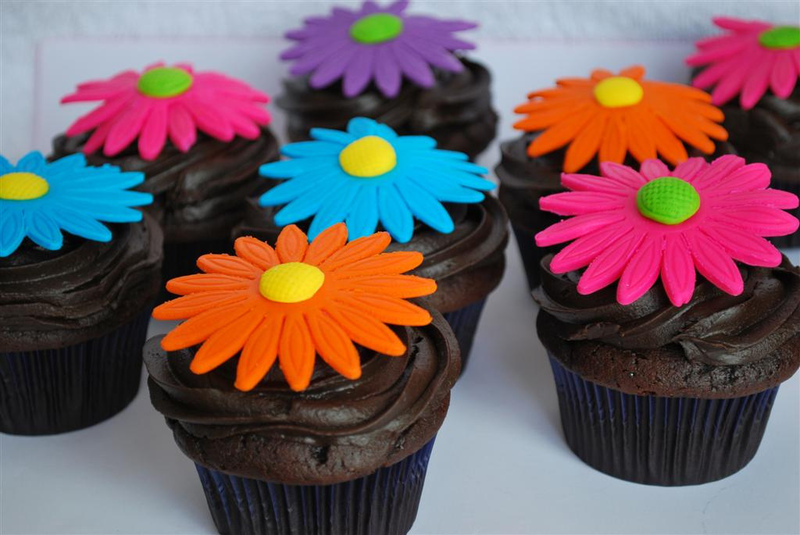 Spring Bake Sale is coming on Wednesday, May 1. Details will follow in next week’s newsletter. Today we launch our Crestwood Family Favourites 2018/2019 Cookbook. 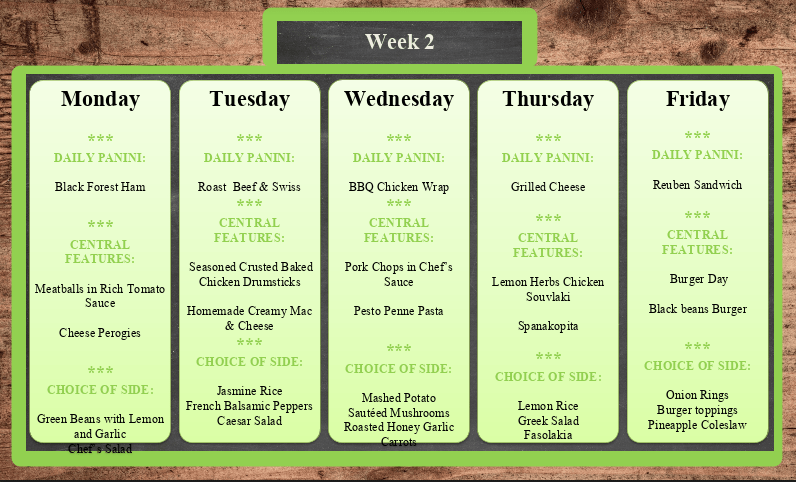 We’ve made it very simple for your family to contribute to this lovely culinary legacy. Click here to view our digital form. The hard part will be picking a family favourite! Please ensure all the details to your culinary delight are included. 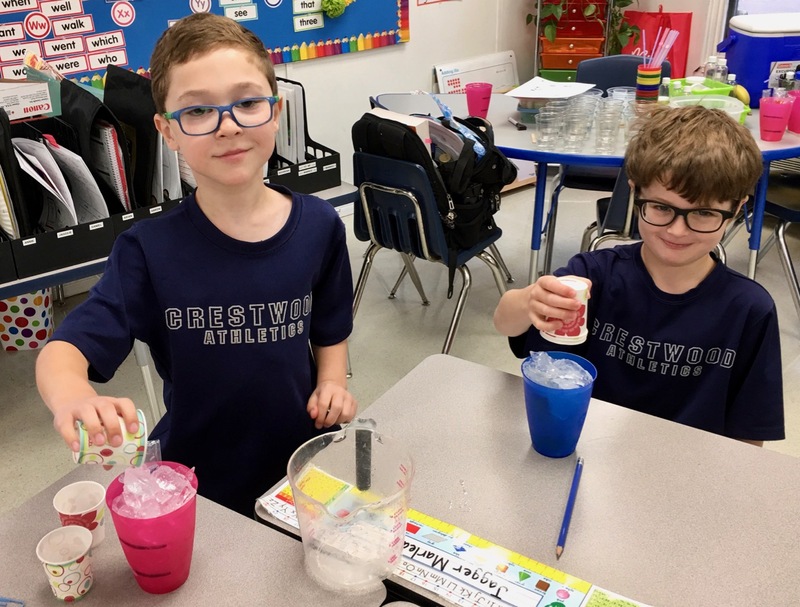 We have entered our final leg of the school year, thus, making this initiative time sensitive, we are hoping for a full scale Crestwood community contribution, as it will be a timely piece used in kitchens for generations to come! On behalf of the entire CSPA team, we thank you for your time and support. In 2010, I was diagnosed with MS at the age of 22. Since then, I have gathered together with friends and family to join the MS Walk each year. Since 2011, my family and I have been overwhelmed with all of the generous support and love we received from our friends, family and community. 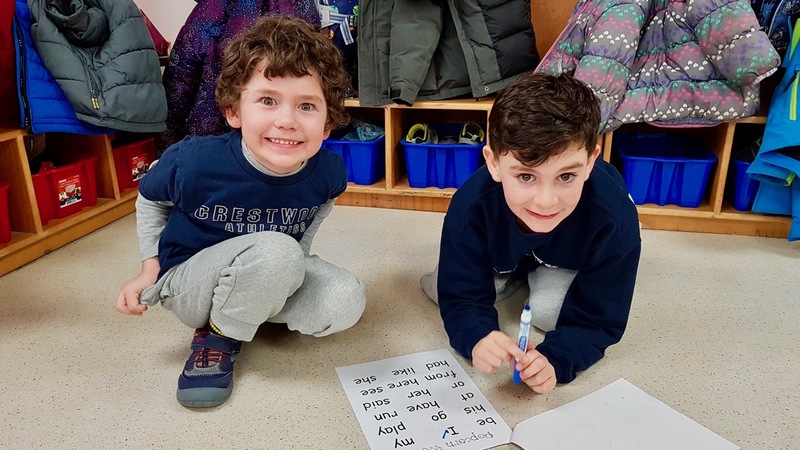 With all of their help, we were able to achieve an incredible feat by raising over $200,000 the past years and becoming one of the top fundraisers in Toronto. 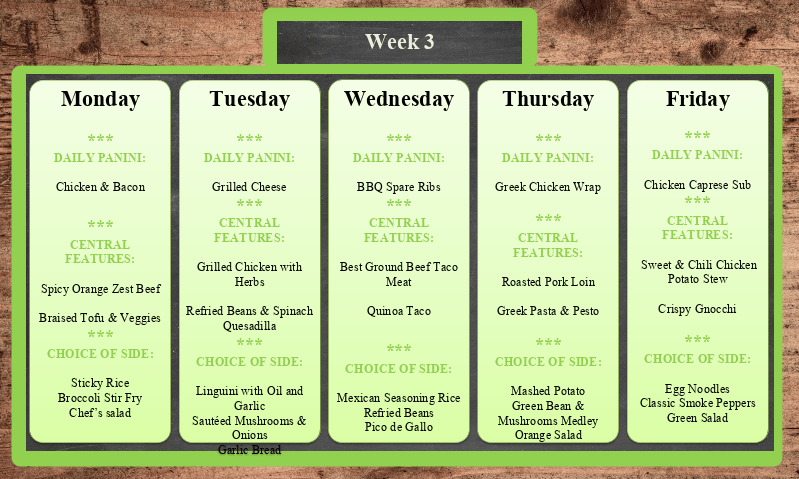 I look forward to taking on this challenge again and exceeding my results from the previous years. As a top fundraiser, I will be representing Team Canada in the MS Walk of Champions this weekend in Los Angeles, California. 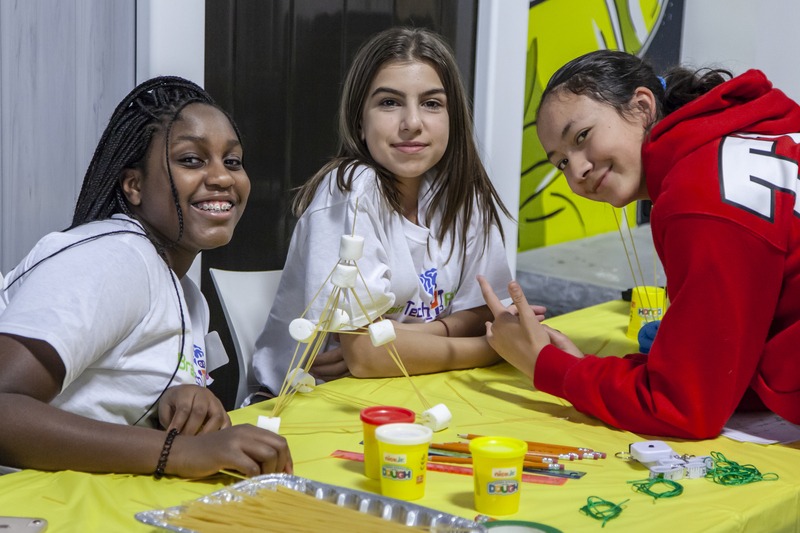 When I return, my team Kaki’s Krew, will be walking in the Toronto MS Walk, which will be taking place at Downsview Park on Sunday, May 5, 2019. I am hoping to raise over $10,000 this year. If you wish to donate to my team or join me and walk for Kaki’s Krew, you can do so by using this link. Please feel free to share this event page with whomever. Thank you all in advance for your support, as I could not get through this without you! 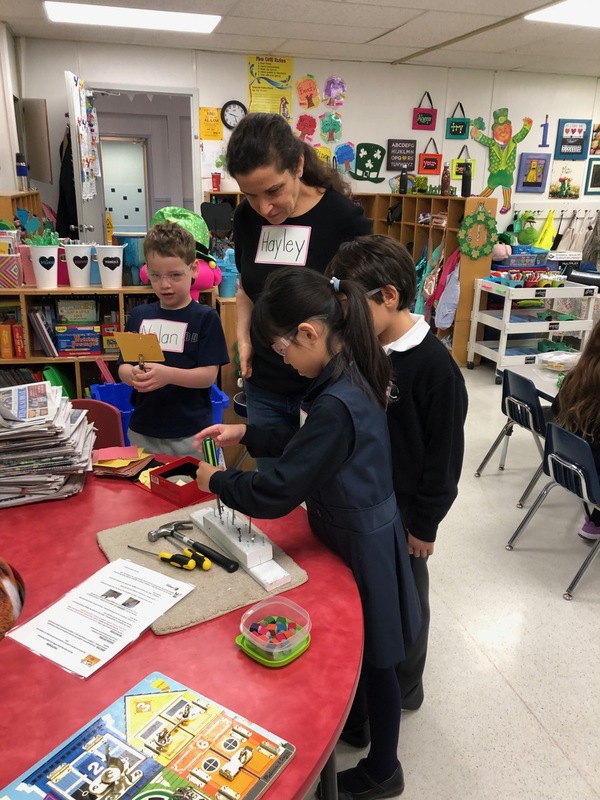 On Thursday March 28 and Friday March 29, the Grade One classes had their annual visit with Scientist Kathy from Scientists in the School. 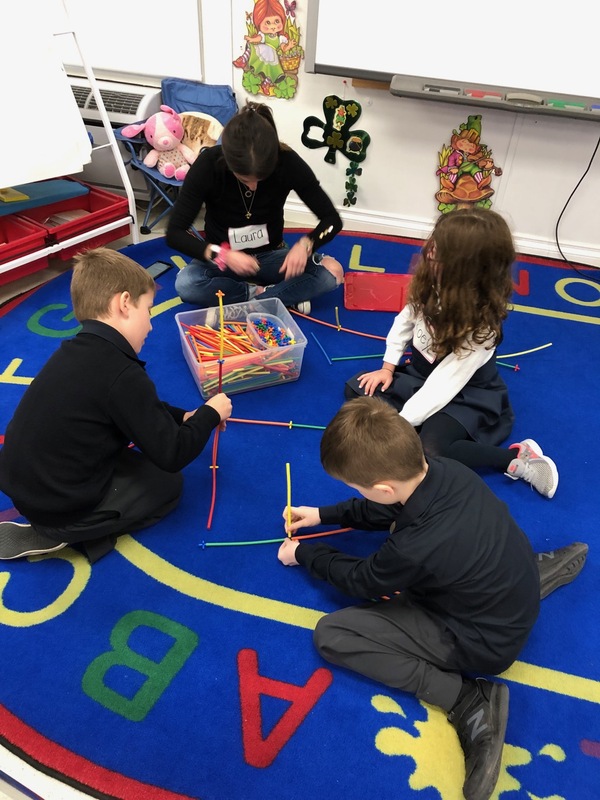 The topic of the day was “Structures: Under Construction!” The Grade Ones learned that a structure is an object that has a definite size and shape and serves a definite function or purpose. We also learned that structures can be human or nature made. 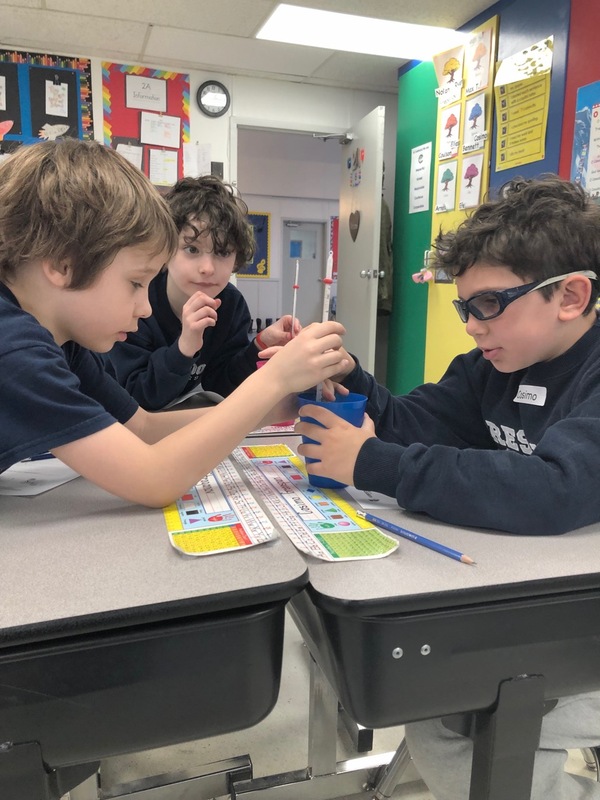 5 amazing experiments were completed using fasteners, different materials (plastic, fabric, paper, rubber glass and metal), and we learned which ‘shapes’ around us are the most solid and reliable when building a structure. Then, we worked together to build a structurally sound ‘creation’ using only NEWSPAPER and MASKING TAPE! We all had a great time together and made some fascinating discoveries!! 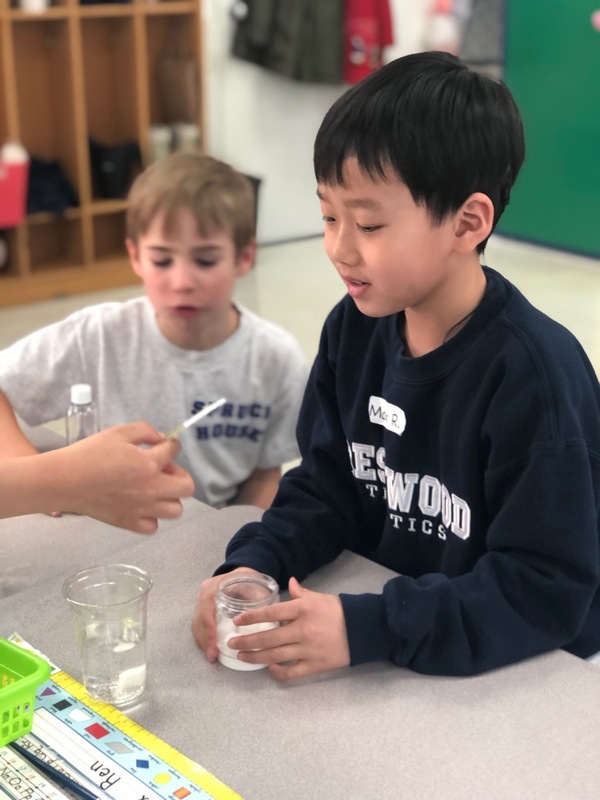 A huge thank you to Scientist Kathy and to 1A’s amazing parent volunteers (Laura Stern, Yvonne Zou, Wei Xi and Hayley Wine) and to 1B’s amazing parent volunteers (Maggie, Zhang, Mel Schembri, Jenny Ho and Karrie Singer) for a fabulous and very informative day! Grade 3-6 author visits coming soon! 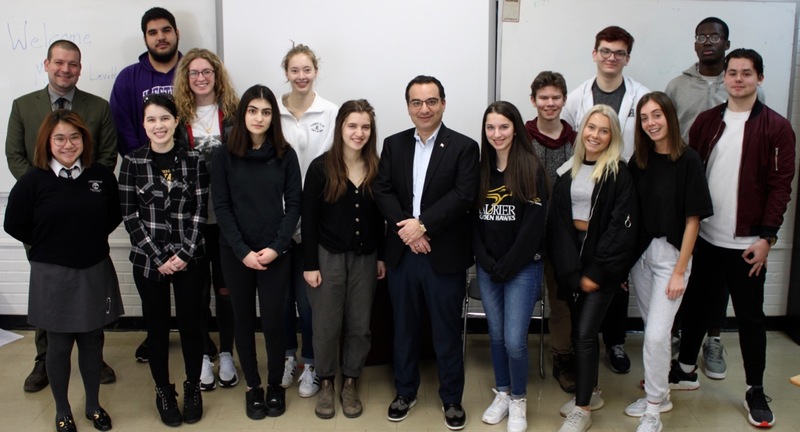 Member of Parliament Michael Levitt visited Crestwood on Friday morning to speak with social studies students about his life and work as a parliamentarian and representative for the riding of York-Centre. 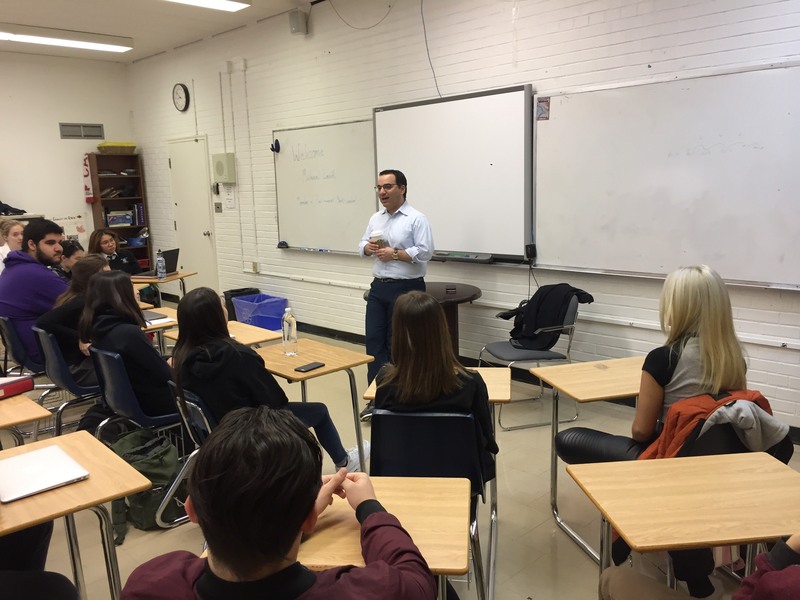 The day began with a roundtable discussion with students from Mr. Masters and Mr. Hawkins’ Grade 12 classes. 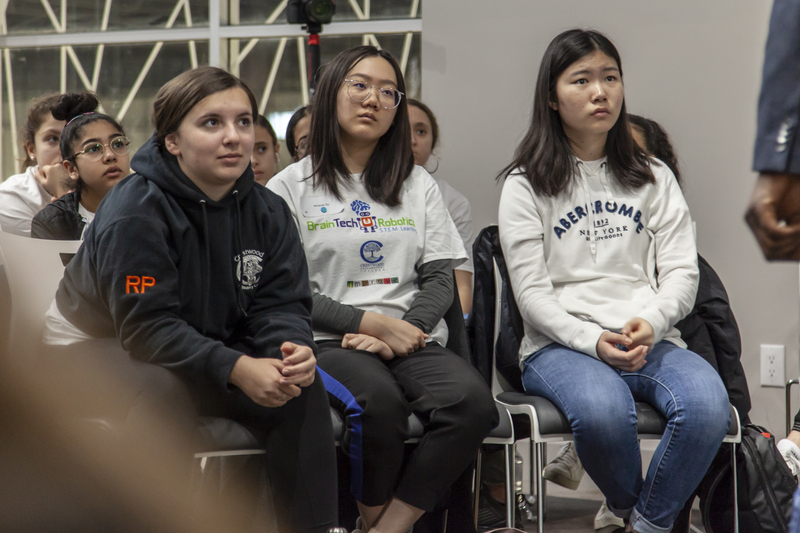 During this time, the discussion focused on topics of human rights and foreign affairs, and Canada’s role in being a voice for the voiceless on the world stage. 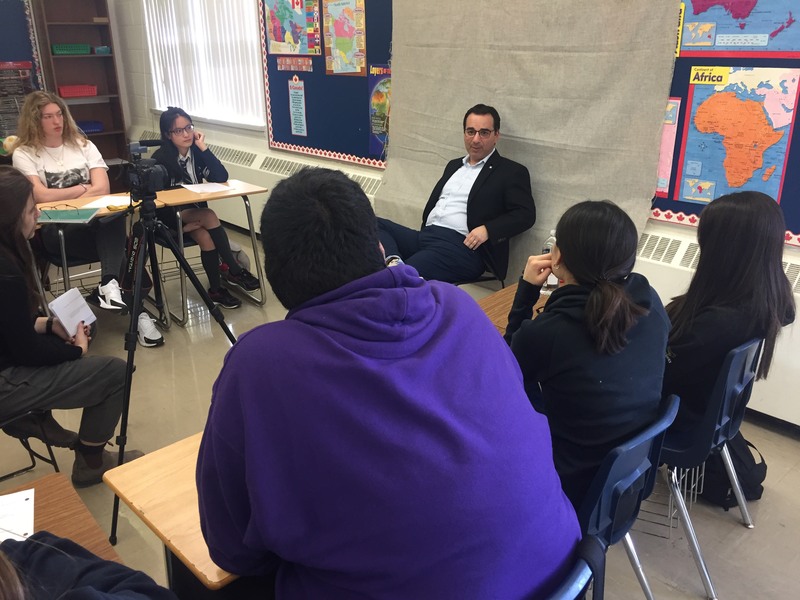 During period 2, MP Levitt sat down to record an interview about his life and career for Crestwood’s Oral History Project. 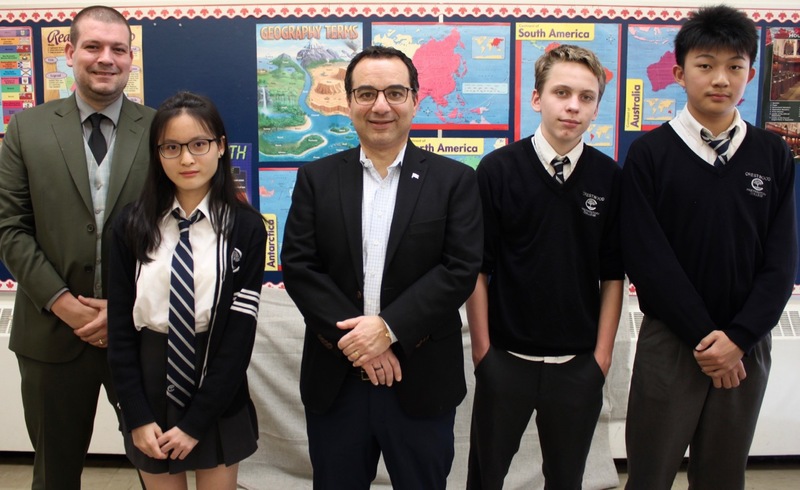 Thank you MP Levitt for a fantastic, informative and inspiring visit. You Read to Me and I’ll Read to You! 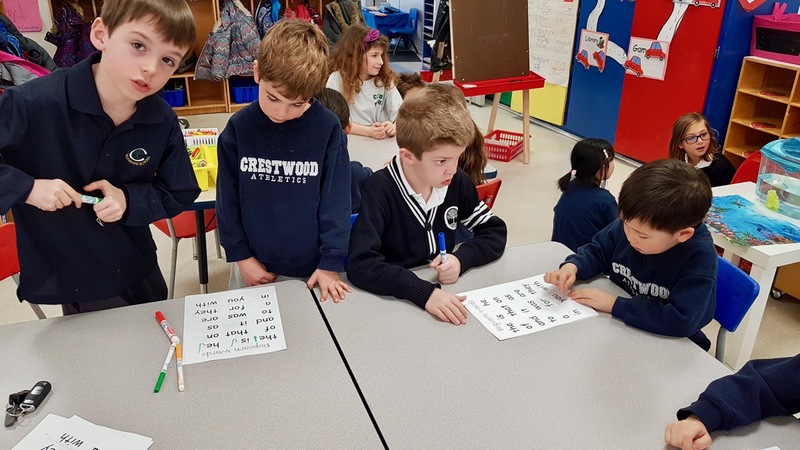 Today Grade 3A partnered up with SKA for Reading Buddies. 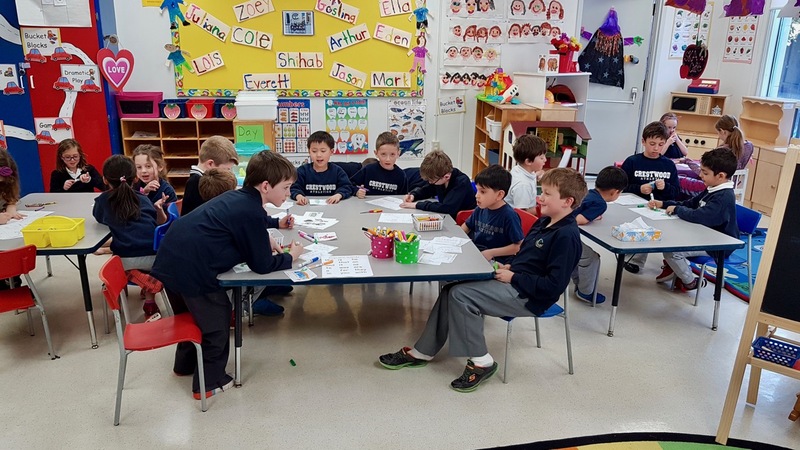 This is a program in which the older students read with the younger students on a weekly basis. 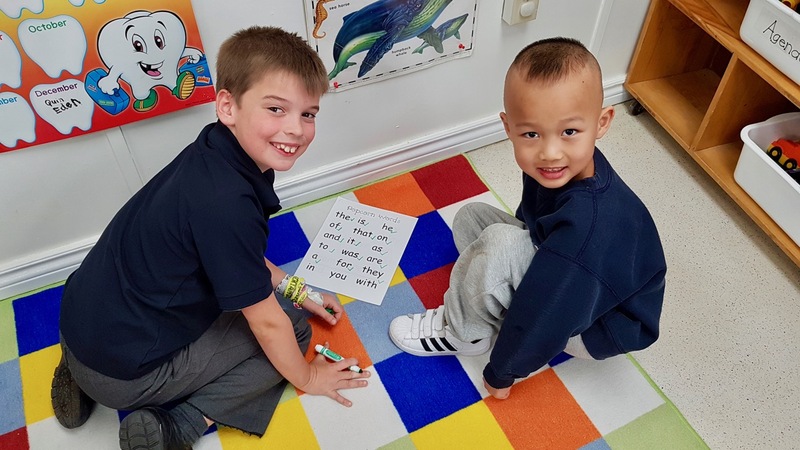 The Grade 3’s can help model good reading as the SK’s improve their skills. 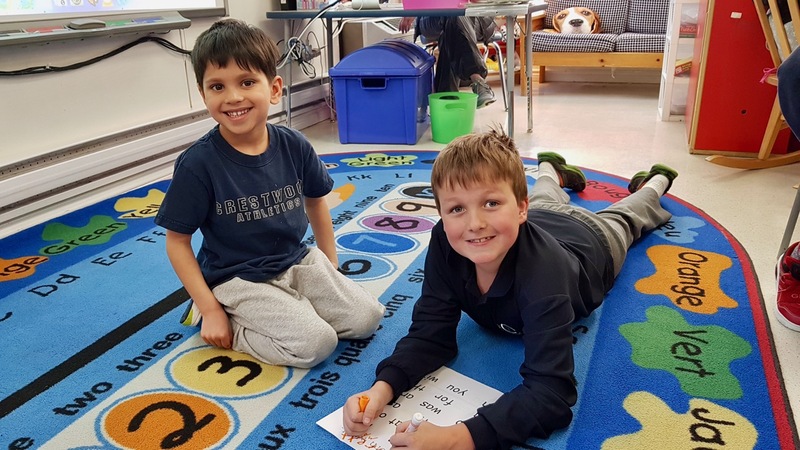 We snuggled up together to read “Popcorn Words”– words that just “pop” in our brains as we read them–and we also read some short dinosaur stories. 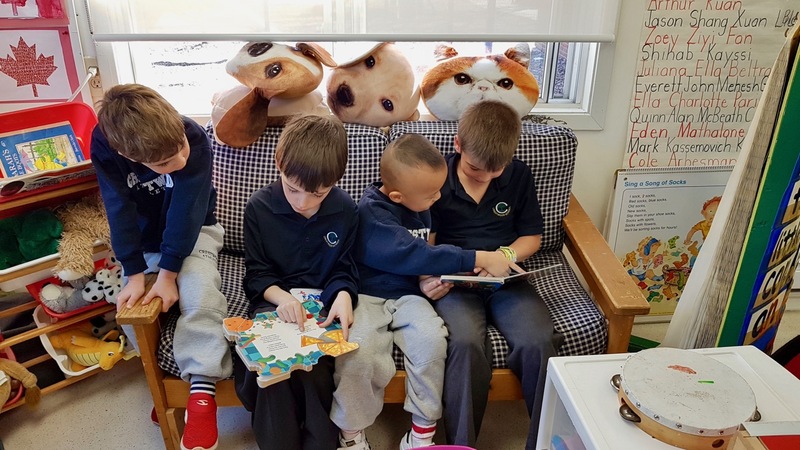 We are excited to embark on our weekly reading adventures together this term. World Autism Awareness Day is recognized on Tuesday, April 2nd. We recognize this day to bring to light people who live with Autism Spectrum Disorder (ASD). To learn more, please visit www.autismontario.com. The Toronto and Region Conservation monitors hazardous ice conditions as thaw begins and are reminding everyone to be very careful around all bodies of water. 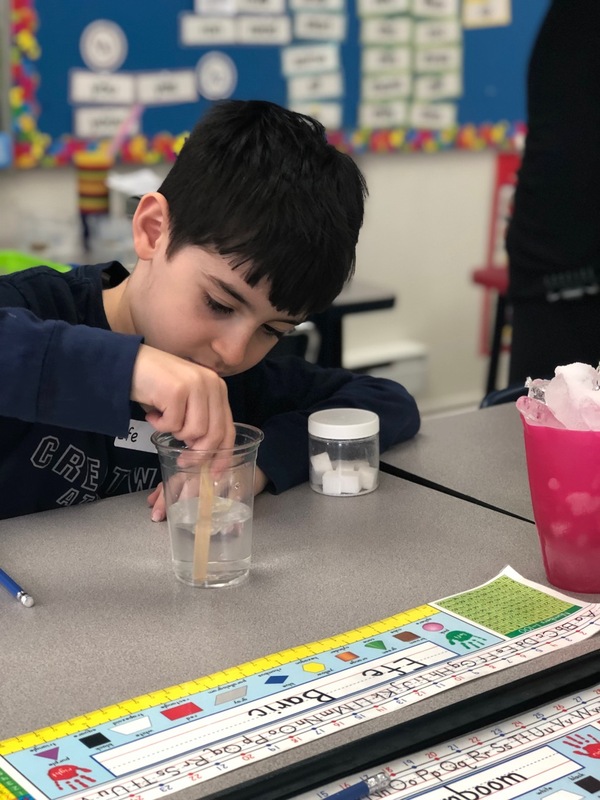 The first hint of warming weather and the promise of spring thaw can bring extreme danger to the shores and surfaces of streams, rivers, ponds and lakes, according to Toronto and Region Conservation. As warmer temperatures arrive, stream banks become increasingly slippery and unstable. Lake and river ice weakens, becoming thinner or with higher flows breaking with little or no warning. During this time, the potential for flooding and ice jamming is high. 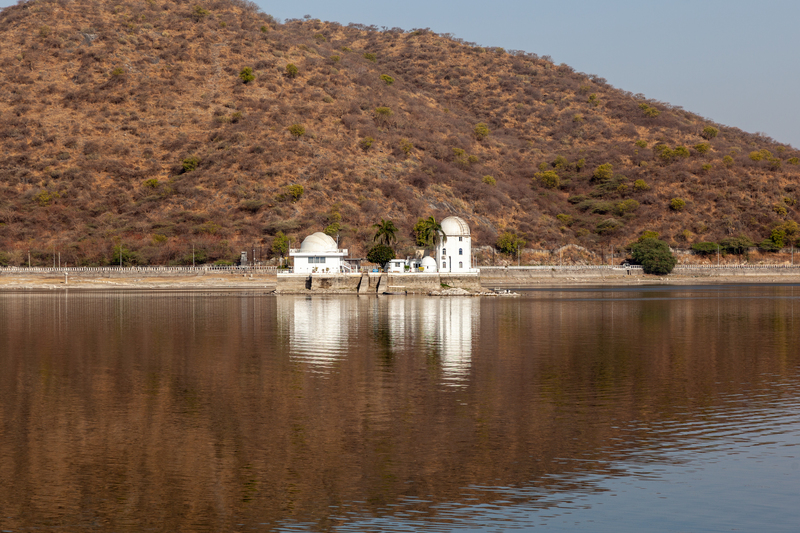 Higher, faster-flowing water and extreme cold temperatures combine to create increased dangers on or near rivers, streams and ponds for people wishing to enjoy the seasonal changes. Parents and caregivers are being asked to keep children away from stream banks, ponds and lakes. Discover Year, the Canadian Gap Association and International Experience Canada have joined forces to offer an exciting series of information sessions to help students, parents and educators build purposeful gap years for meaningful transitions into post-secondary life. View the flyer here. Over the March break our Elite Basketball teams both competed in their Provincial and National Championships. The Senior Girls Basketball team began their OSBA provincial playoffs. After steamrolling through the first two, our Lady Lions ran into a high powered Capital Courts Academy out of Ottawa. After a dismal start, the Lion’s were down 16 points at halftime. In the second half, the Lions came out on a mission. 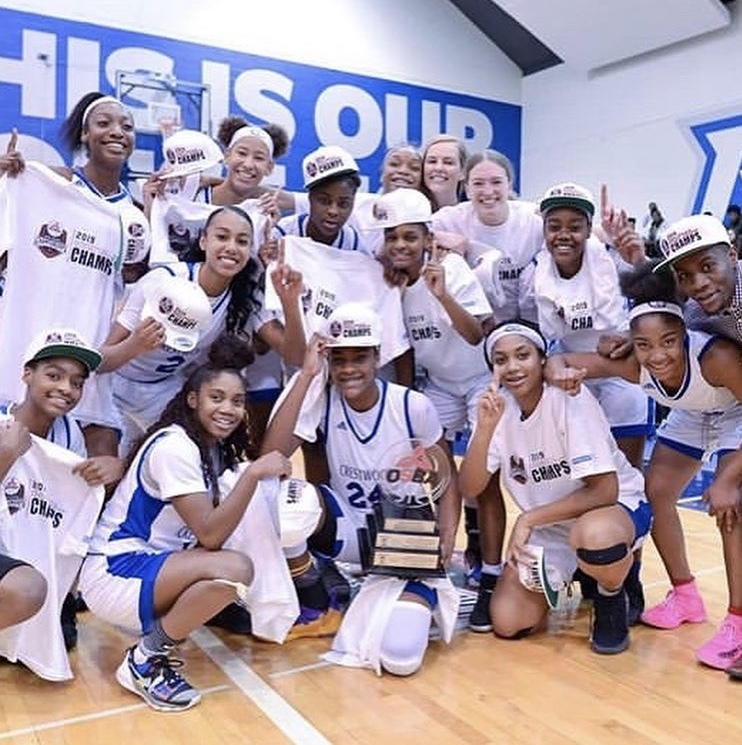 Led by the hot hand of Rebecca who poured in 21 points in the second half, and Aaliyah Edwards who finished the game with 29 points and 14 rebounds the team won a nail biting game 71-70 to capture the OSBA Championship. Aaliyah Edwards was named Finals MVP for her monstrous performance throughout the playoffs. One game saw her post a stat line of 31 points and 21 rebounds. The Lady Lions complete the goal set last year which was to go undefeated in Canada. The ladies finished the season with a record of 40-4. 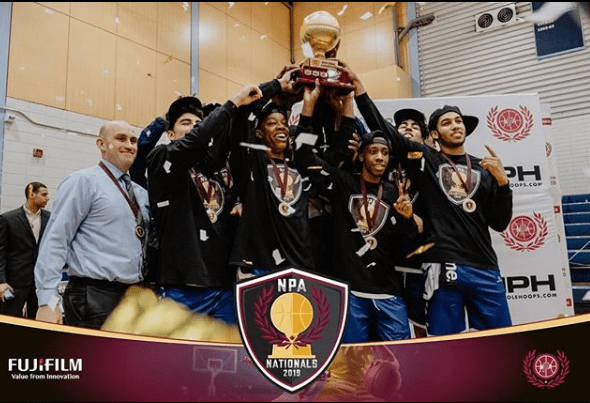 The following weekend the Senior Boys Basketball team competed in the NPA championships. The Nationals was a 12 team tournament with teams from all across Canada. CPC faced off against Oakville Basketball Academy in the Quarter Final game on Thursday evening. CPC took an early lead and never looked back winning the game 111-86. This moved CPC on to the semi-finals on Friday evening. We matched up against Toronto Basketball Academy and in a tight game defeated TBA 102-91. The Championship matchup saw CPC playing against Edge Academy, the third seated team from Albert. CPC went into the 3rd with a large lead, but Edge came out strong after the half and narrowed the lead, making for an exciting 4th Quarter. But it was CPC who came out on top winning the National Championship 97-83. Congratulations to all the team members and coaches on an amazing season. 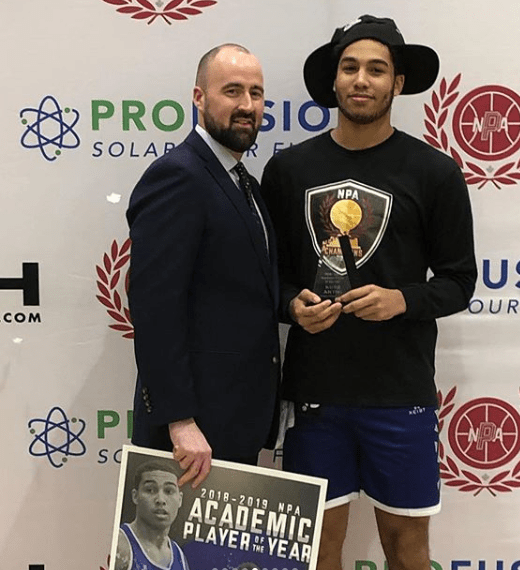 Special mention to Jahcobi Neath who was named to the 1st team All-star and was MVP of the League; Luis Pacheco who was named Defensive Player of the Year, and Kobe Antwi who was named Academic Player of the Year. This wraps up the most successful season in Canadian High School Basketball. Winning 6 CISAA Division I championships, a Provincial championship, and a National Championship. This success is due to the hard work and participation of over 75 student-athletes, 12 coaches, and supportive teachers and administration. 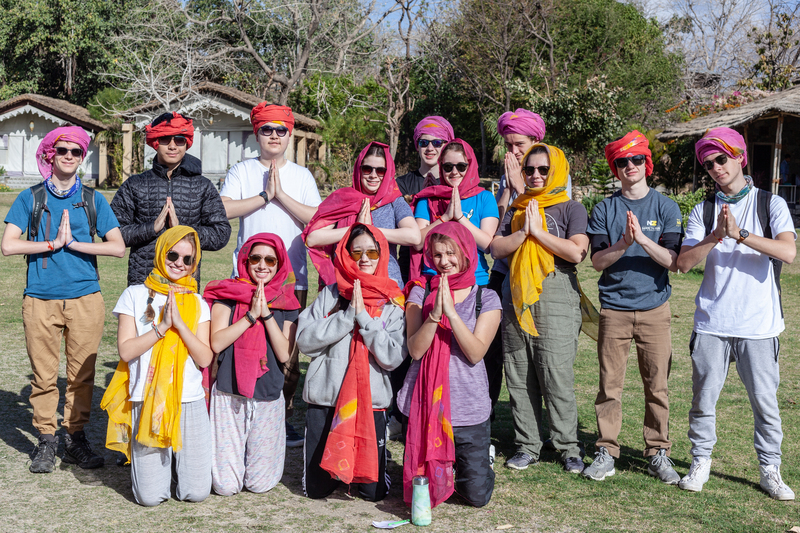 Many students are familiar with a warm and sunny March break; 14 of them took a warm and sunny trip to India this past March. 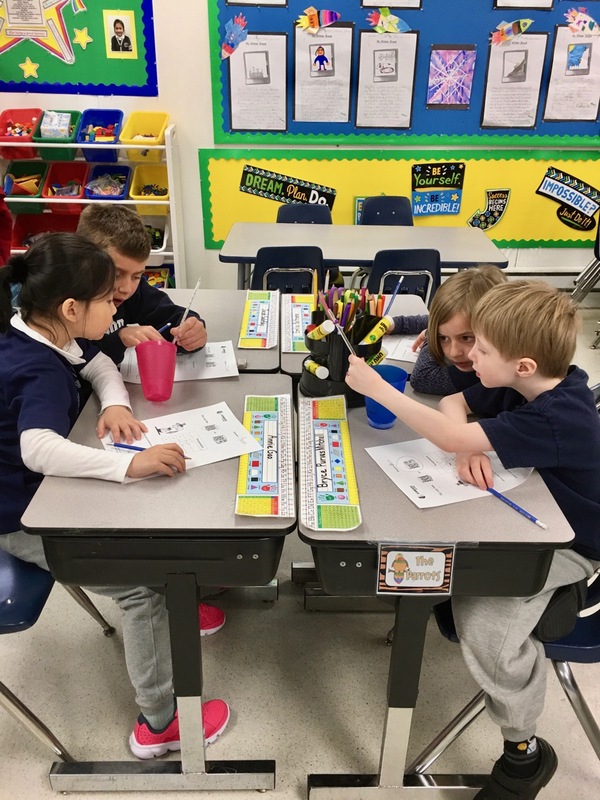 After a lengthy plane ride, the students sprung into action. 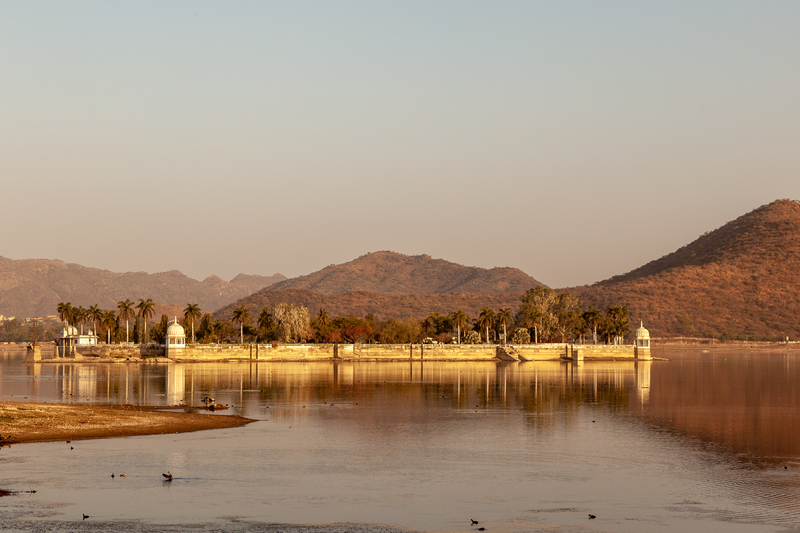 Inspired by a visit to the local school in Kalinjer, Rajesthan, where they had four classrooms and no bathrooms servicing the same number of students currently attending Crestwood, the students began construction on a toilet facility for the school. They were able to complete the foundation prior to their departure. With hardwork also comes some play time, specifically with the children of the school. 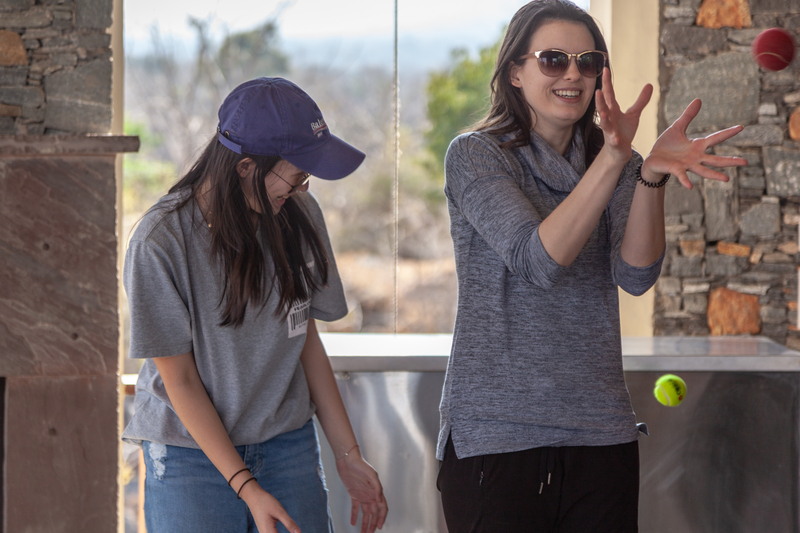 Even though our students do not speak Hindi, they were able to communicate through hand gestures, games and laughter. 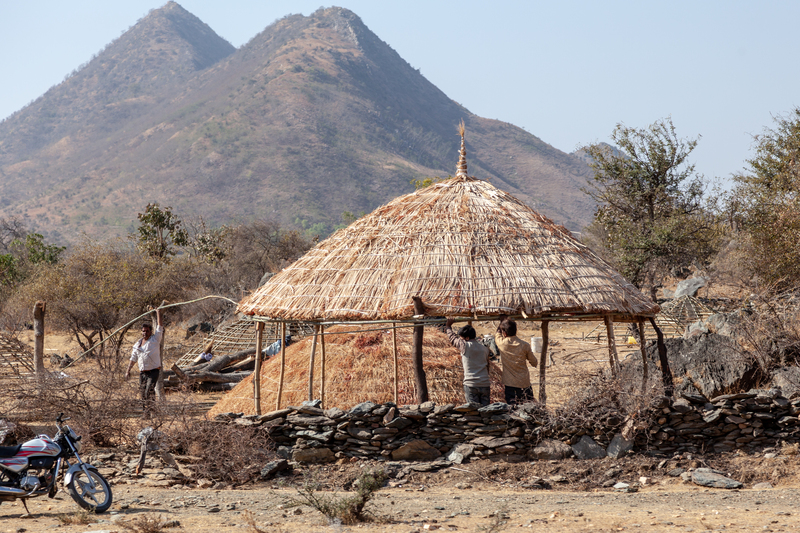 They also then went to live a day in the life of a local, which included feeding goats, a walk for water, making naan and more. 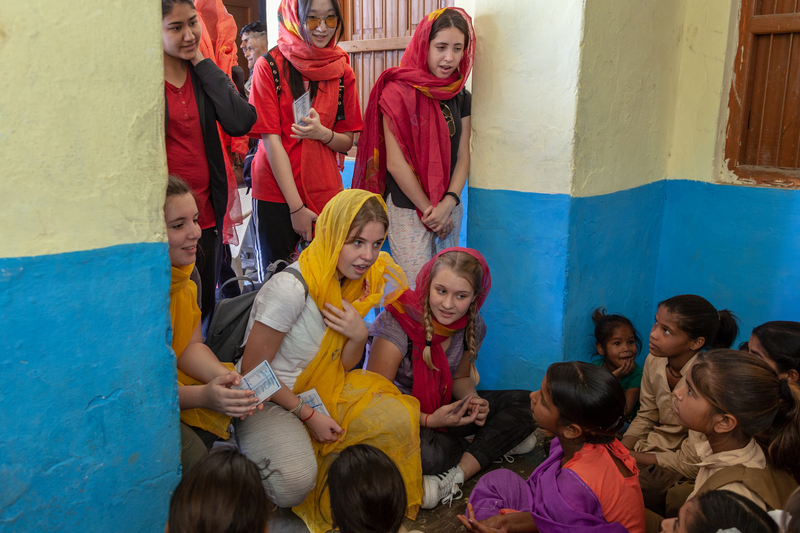 Crestwood students also took some time to immerse themselves into the culture by learning how to make masala chai tea and samosas, getting a custom made sari, learned some bollywood dance moves and more! 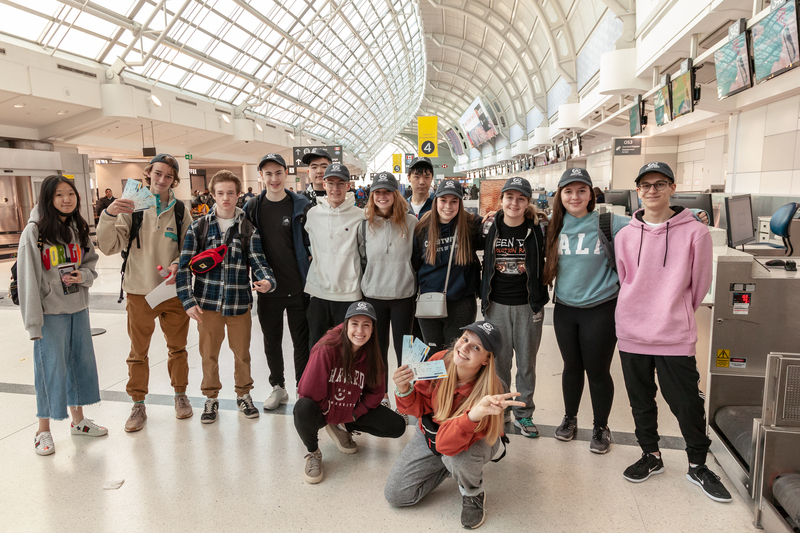 Shortly after they completed their community project and cultural engagement, Crestwood students also took a portion of their time to visit the Taj Mahal, Agra Forte, Humayun’s Tomb, India Gate and more. The 11-day trip went by in a flash. 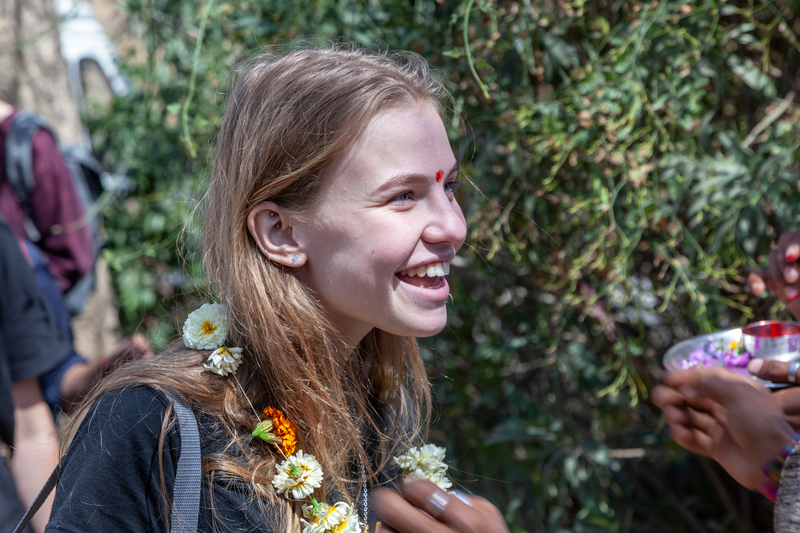 Students came home with newfound knowledge of the Indian culture, and a renewed inspiration to make a change in the world. As a Matter of Fact! 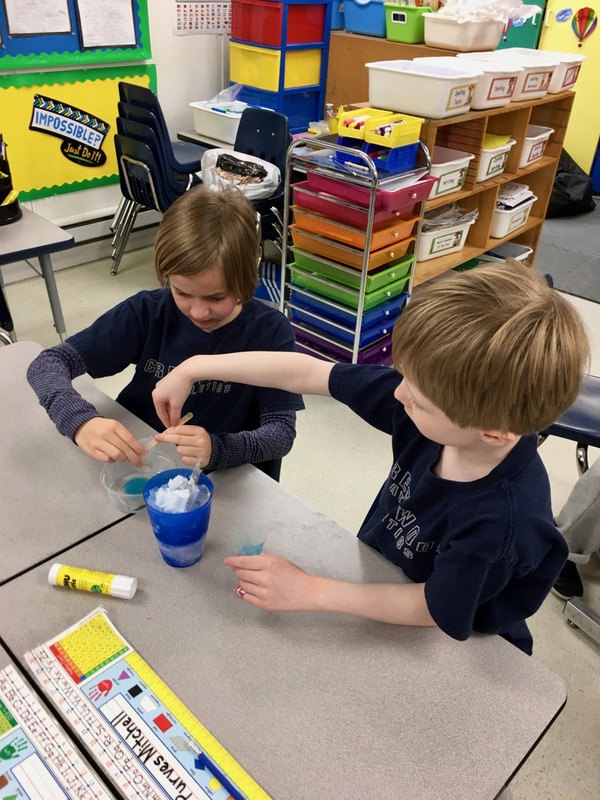 On Thursday the Grade Two classes participated in a Scientists in the School workshop all about the changing states of matter. 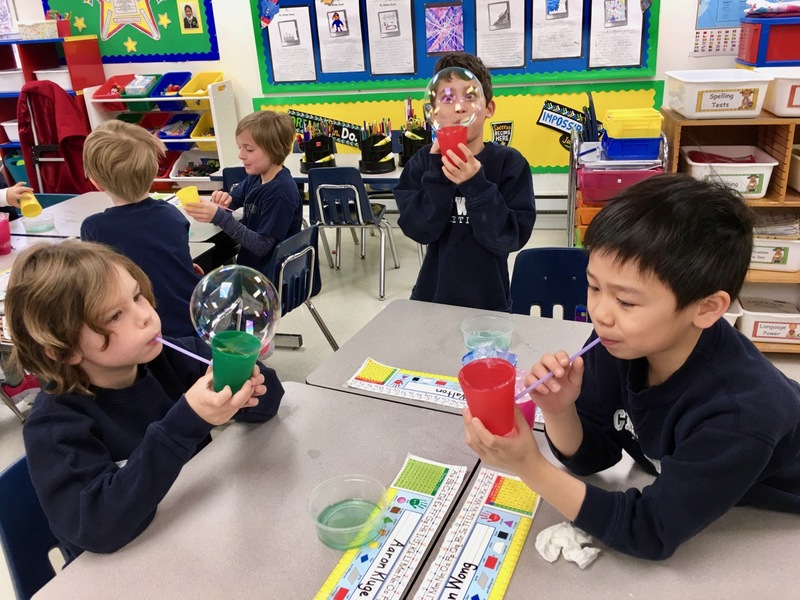 We ran our own chemistry experiments and explored what happens when solids and liquids get together. 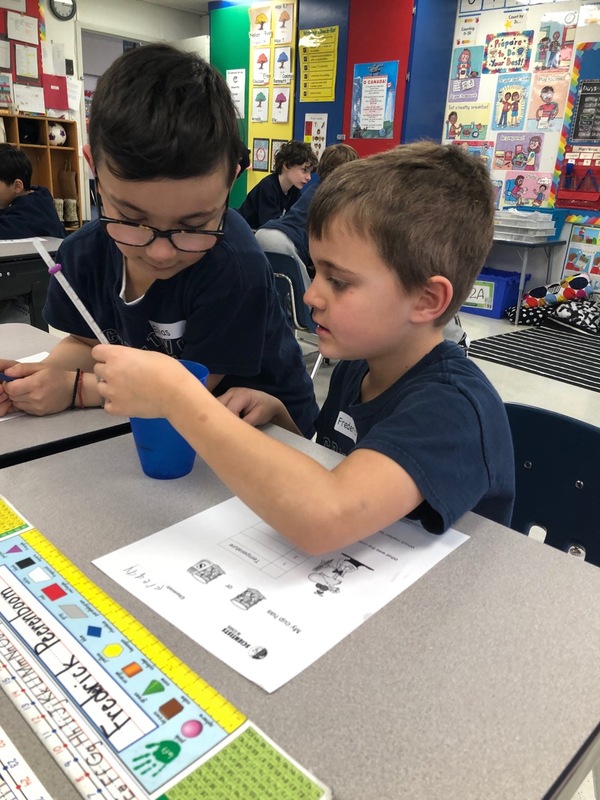 Using a real thermometer we investigated the conditions necessary to change a solid to a liquid. 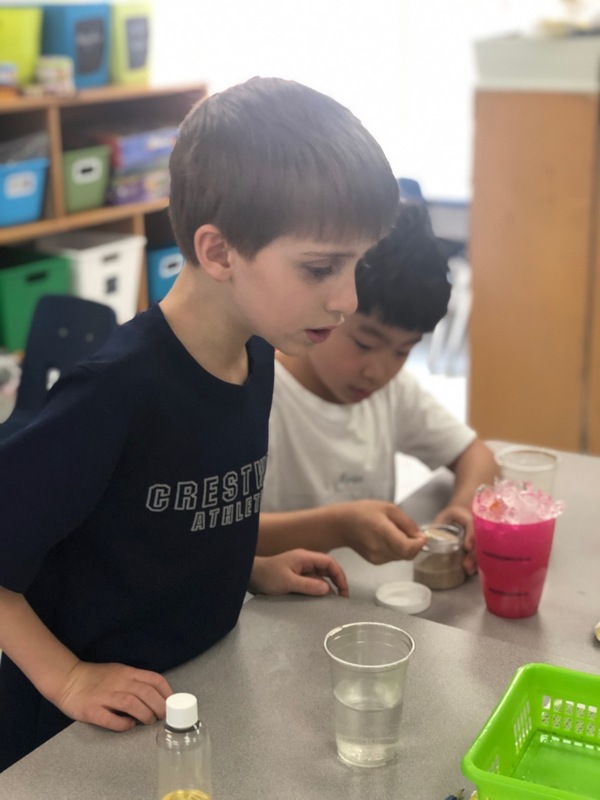 We created a way to change a liquid into a solid and we were able to eat what we made! 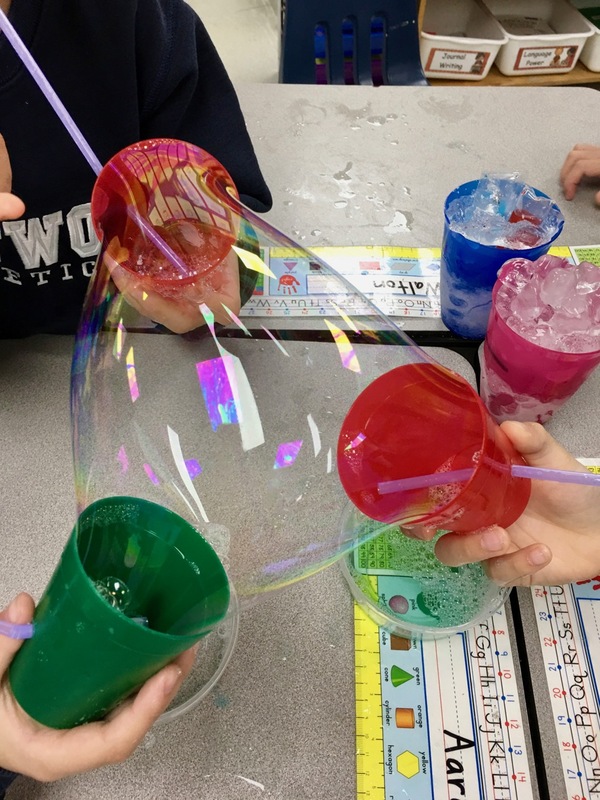 We took on the challenge to produce the world’s biggest bubble and explored buoyancy. 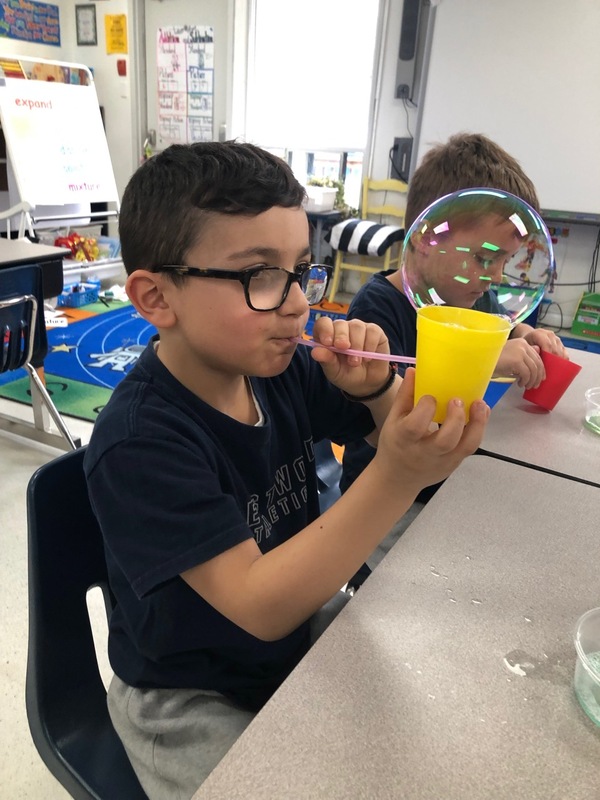 Everyone had fun while learning! 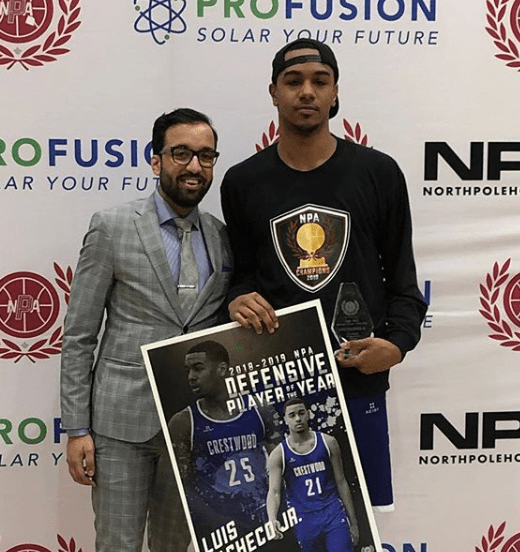 Crestwood will be the most represented school at the Biosteel All-Canadian Games which showcases the top high school basketball players in the country. Congratulations to the following girls; Aaliyah Edwards (’20), Shayeann Day-Wilson (’21), Rebecca Demeke (’20), Latasha Lattimore (’21), and Kayla Drummond (’20). 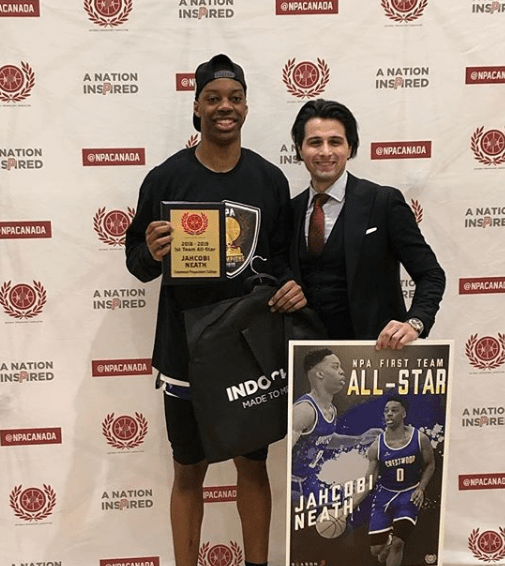 Congratulations to Jahcobi Neath (’19) who will be playing in the boys game. 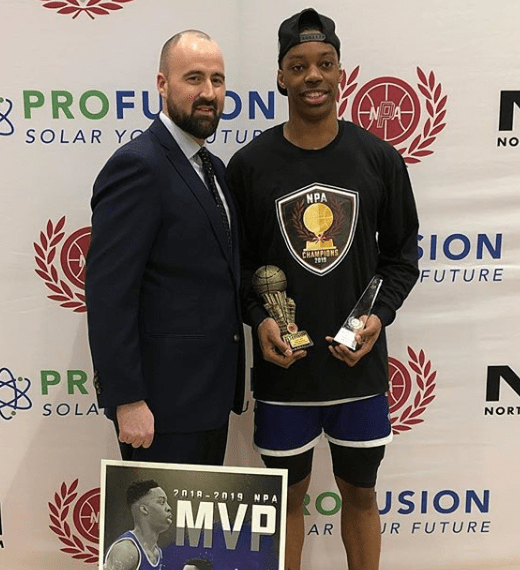 And congratulations to Elijah Fisher (’22) and Immanuel Oludele (’21) who will be playing in the future stars game. All festivities take place this weekend. Coach Ro Russell and Marlo Davis have also been invited as coaches of the boys and girls game respectively. Good luck to all! 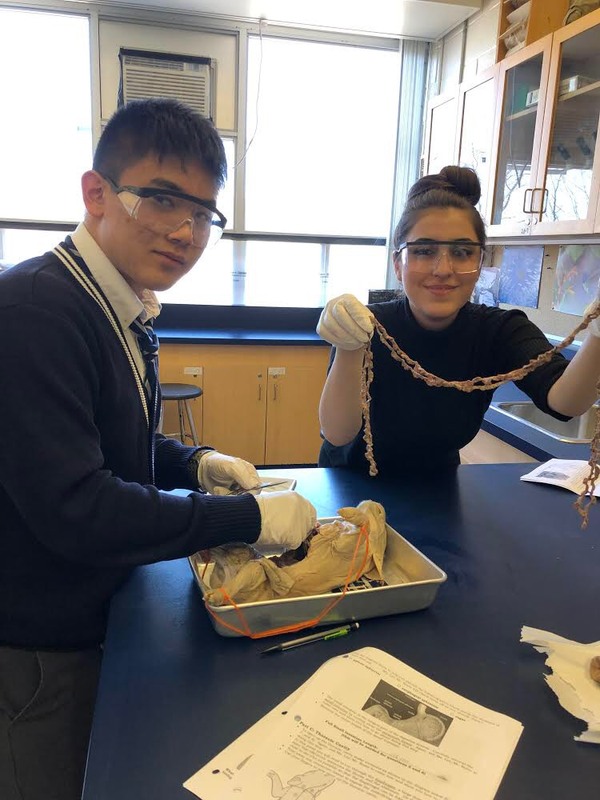 Two of CPC’s students’ submissions to InCITE, the literary journal for CIS Ontario schools, received special recognition in their respective grade bands this year. The topic of this year’s journal was fan fiction. Georgia Gardner (’19) submitted a short story, Cutting the Strings, narrated whereby Cinderella dumps the Prince and begins speed-dating. Hilarity ensues. 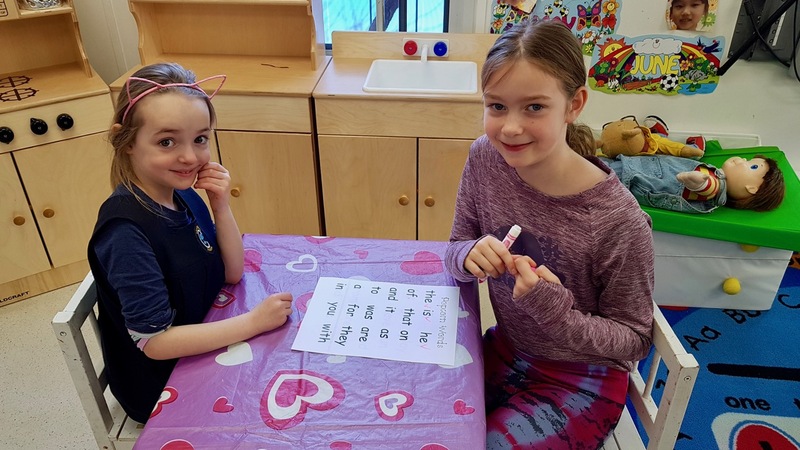 In addition to having her piece printed in the journal, Georgia has been invited to participate in a student writing workshop at the upcoming CITE conference at MacLachlan College. 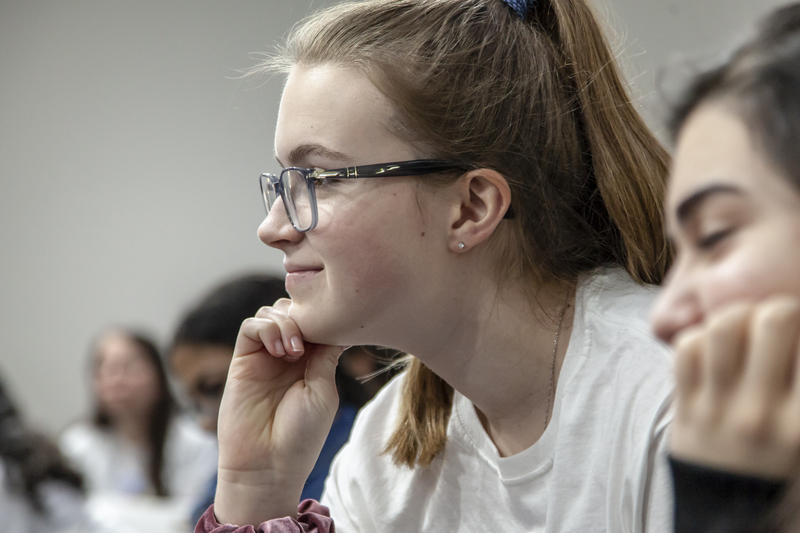 Kathryn Tuns (’21) submitted a short story titled, The Wait, whereby she retold Chapter 21 of To Kill a Mockingbird from the perspective of Aunt Alexandra– it was sensitive and insightful and beautifully written. Like Georgia, Katie has been invited to participate in the workshop, but she has also been asked to perform a public reading of her piece at the conference– a big honour! 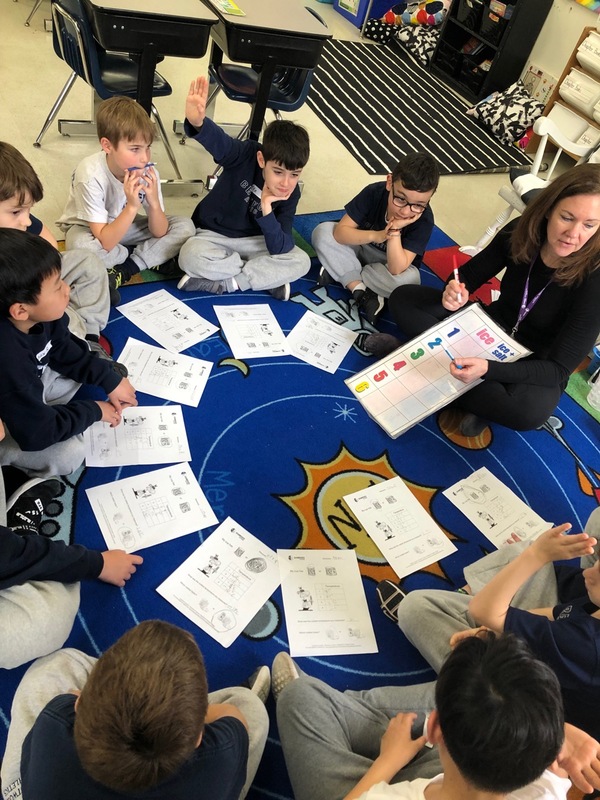 On Tuesday, 4C and 4D participated in “Sound is Music to My Ears”. 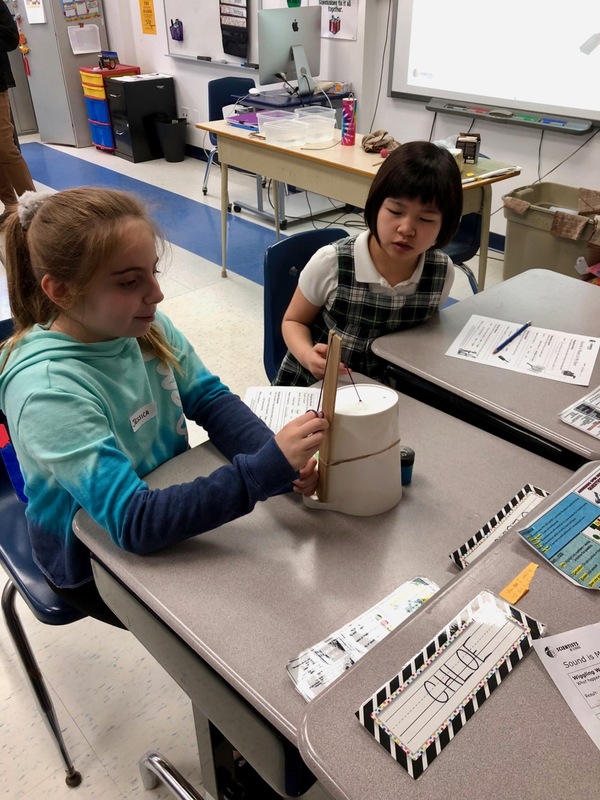 In the workshop, the students learned how sound waves travel. 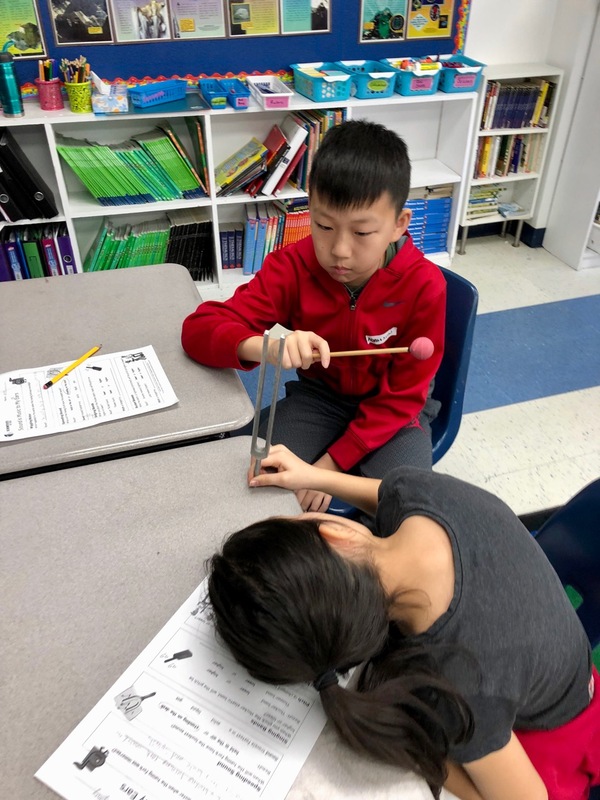 They experimented with many items testing the properties of sound including volume, pitch or frequency, sound quality, movement and speed. 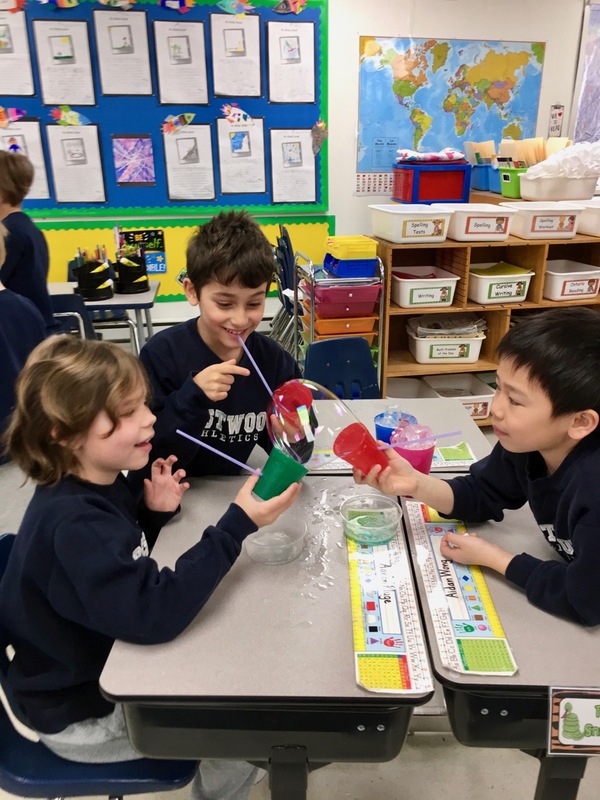 One of the kids favourite activities was called the “Laughing Chicken”, where they used a cup and string to demonstrate the amplification of sound, which closely resembled a chicken laughing. 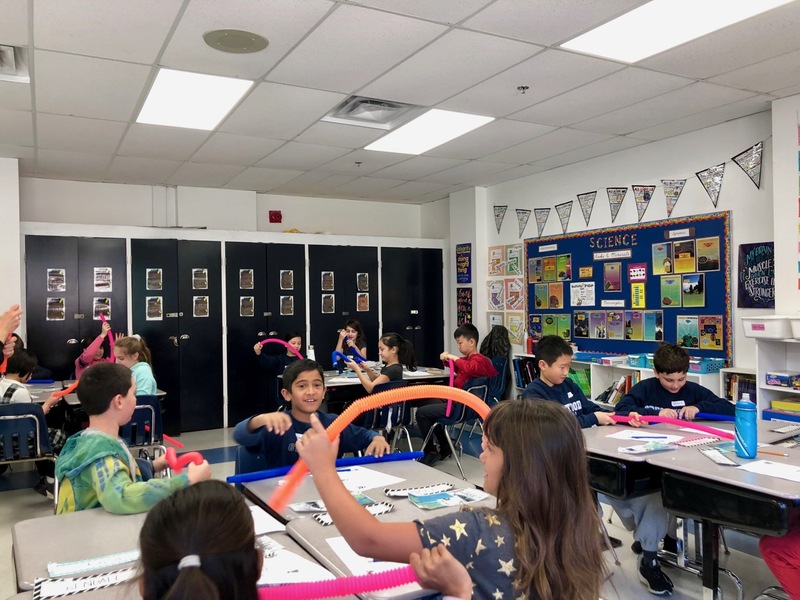 The students had a lot of fun and it was an excellent way to launch our Light and Sound unit. 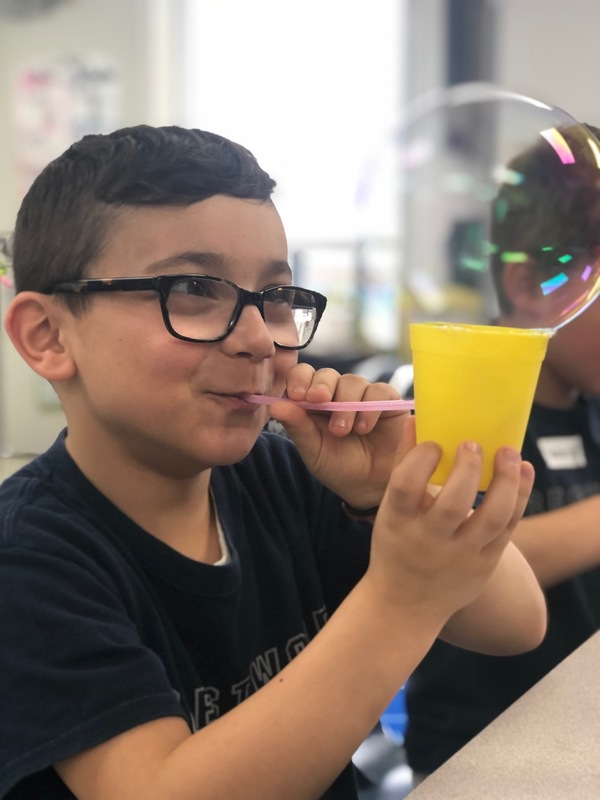 Looking for a fun-filled summer camp to help your child read while using O-G multisensory activities to enhance decoding, encoding, comprehension and writing skills. 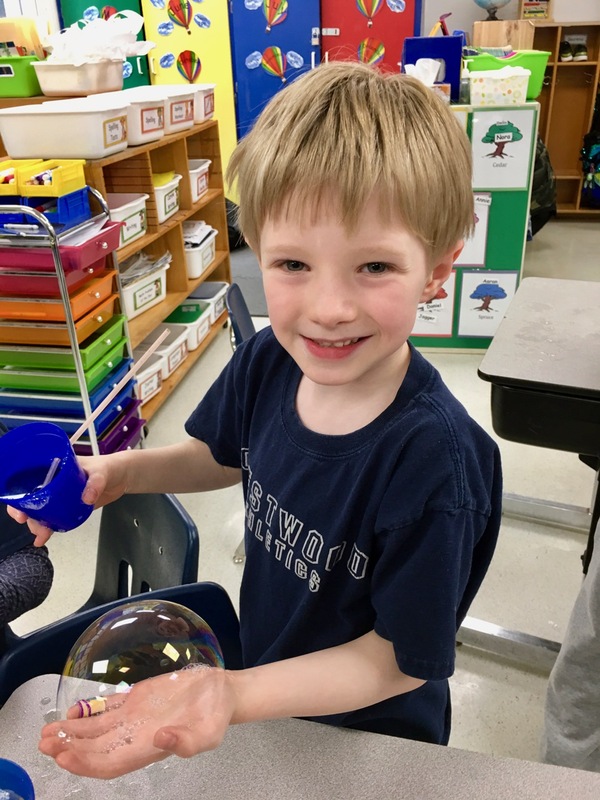 We are offering an Orton-Gillingham based language arts camp in the last two weeks of June at Crestwood School. Click on the attached docs for more information. 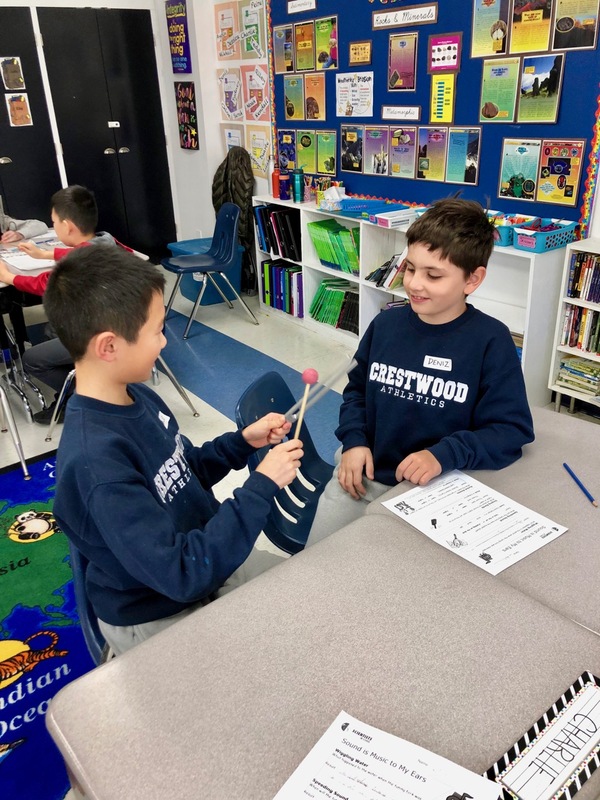 The Spring Sports season is warming up here at Crestwood School and the Sign Up Sheets are filled with names of our student/athletes. The U12 Co-Ed softball and Junior Track and Field teams will both get started next week. 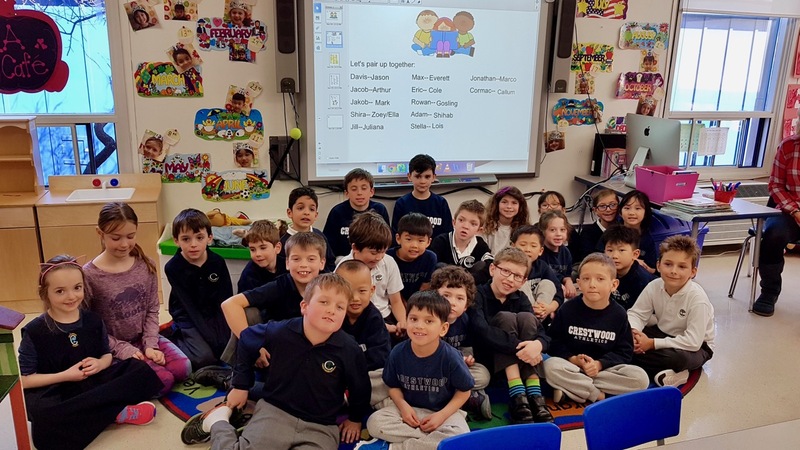 Junior Track (Gr.3-6) and U12 softball practices will take place on Mondays and Thursdays after school. This week only the second tryout will be on Wednesday. Athletes interested in Monday’s softball try-outs, please make sure you have your softball glove and running shoes ready to go! Junior track members please be sure to pack your running shoes, water bottle and any other athletic gear needed. Also all students in the Junior Division are invited to join our intramural ball hockey league. Please sign your name to the list outside the gym. 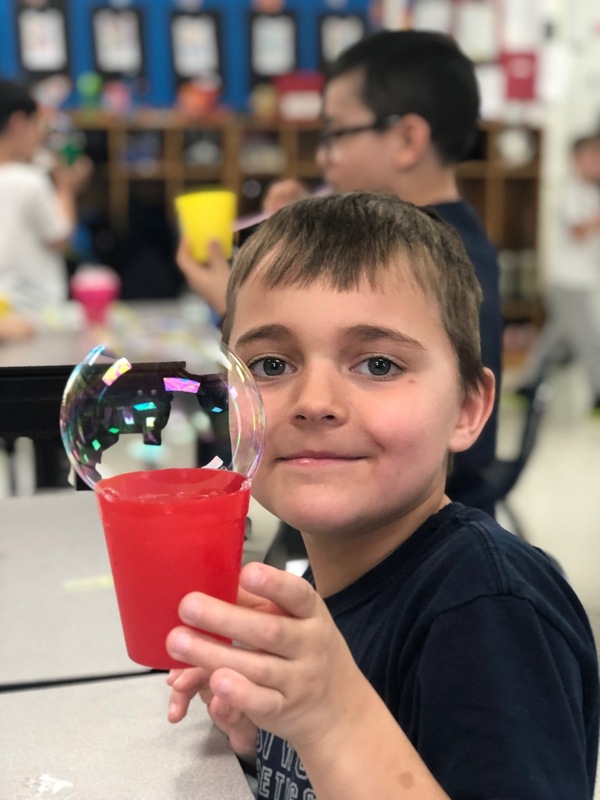 This league will begin when the warmer temperatures arrive and will run at lunch recess on Tuesday and Thursday. All players will be required to supply their own helmet with faceguard, hockey gloves and a stick. Please join us in the boardroom for our next P.A. meeting on Thursday, April 4 at 8:45 a.m. Coffee and muffins will be available at 8:30 a.m. Everyone is welcome! 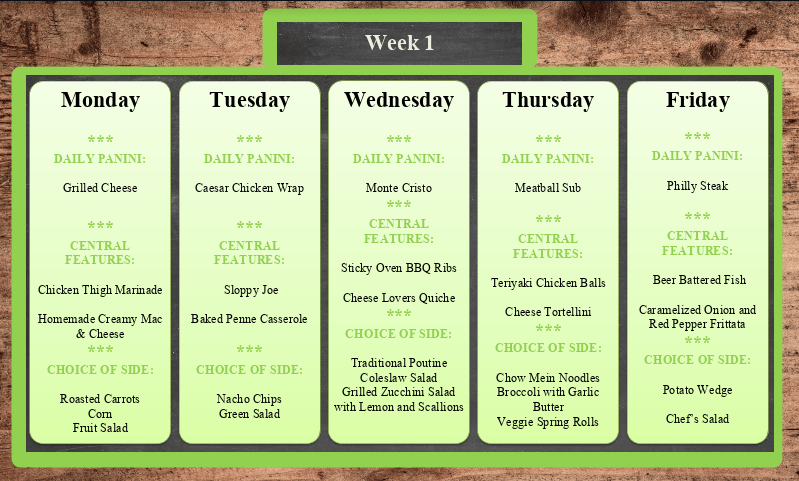 The next pizza lunch is on Friday, April 12. 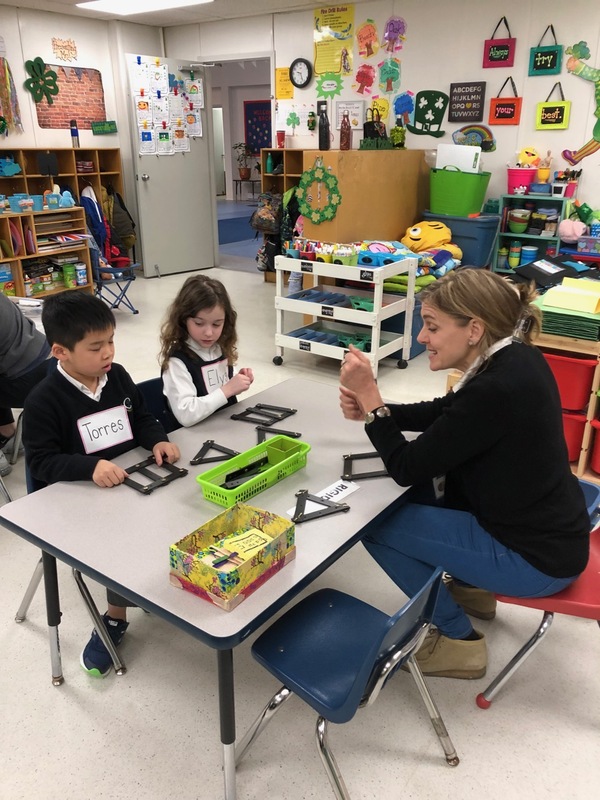 The Parents’ Association has committee positions open for fall 2019. 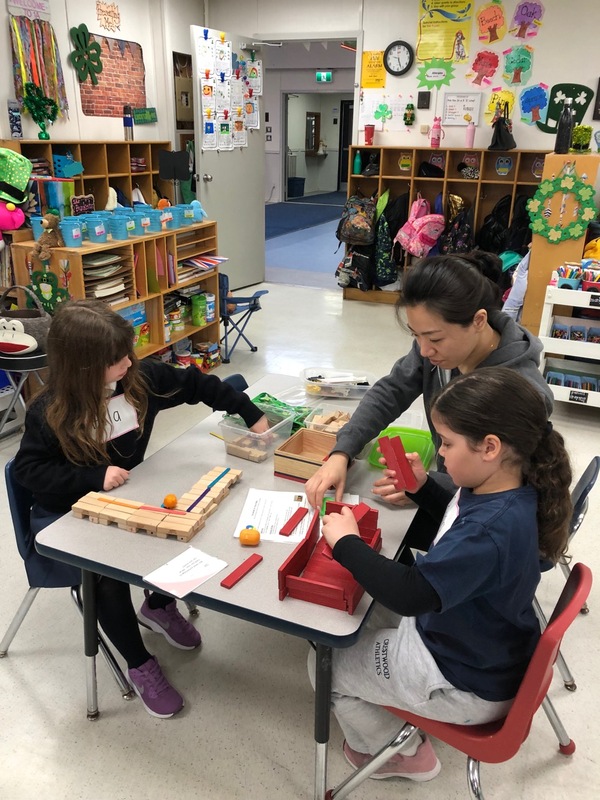 Coordinators are needed for various areas, including Mane Essentials (the PA store), Pizza lunches, Volunteers, Parent Social, Communications and Used Uniform Sales. The role of Vice-President is also open. 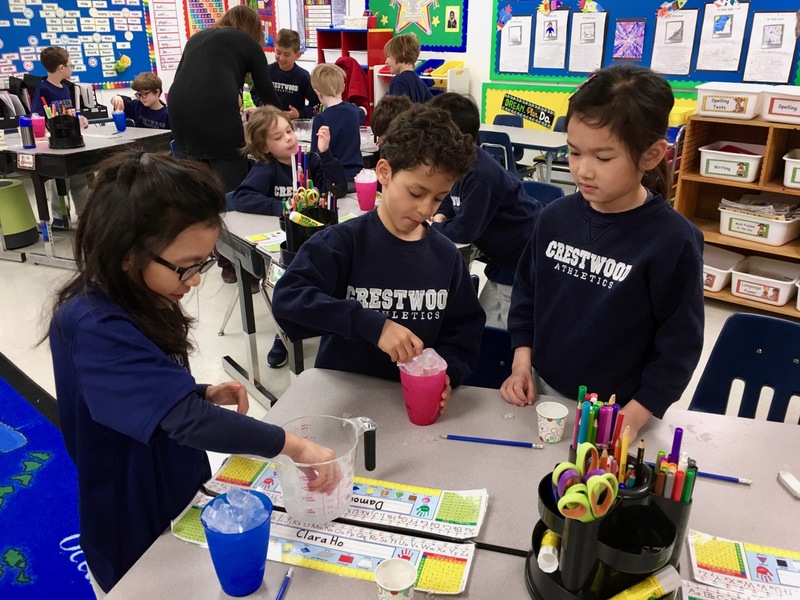 Participation in the PA is a rewarding experience that benefits the entire Crestwood community. We are a down-to-earth group of volunteers and there is always back-up, should you need it. If you’re interested, position descriptions and nomination forms are posted on Edsby in the Parent Community. If you’d like to submit a nomination or learn more, please contact Shannon at gary.shannon.nevison@gmail.com or Heather at heather@stuffonastick.ca. We’d love to hear from you! CISAA history has been made! Crestwood is the first and only school to ever win all 6 Division I Championship titles in one sport! This past weekend Crestwood hosted the CISAA championships for U14, Junior and Senior boys basketball leagues. All three games were exciting and a great display of talent and teamwork. The Junior boys started out championship weekend defeating Crescent 59-38. The Lions opened up the game with an alley-oop dunk off a pass from Kailon Nicholls to Elijah Fisher and then followed that up with some great defensive hustle by Zack Graff on the next possession. The big plays gave the crowd some energy and the Junior boys never looked back as they extended their lead to 36-15 at the half. The Lions pushed the lead to as much as 30 in the 3rd quarter before cruising to victory. Elijah Fisher led the way with 17 points, including three rim-rattling dunks, while Matai Baptiste added 11 points and several tough rebounds. Christian Gheoculet was hot from 3-point range early and pitched in 9 points overall. The win is the Crestwood Juniors second CISAA title in the last three years and was a great way to send out our three Grade 10 boys Immanuel Oludele, Caiden Oshinowo, and Jesse Codron. The boys would like to thank everyone for their continued support throughout the season, and an especially big shout-out to the students and teachers who stuck around after school on Friday afternoon to cheer them on to victory! The Senior Boys DI Basketball championships were up next. Crestwood defended their CISAA championship by defeating Crescent School 102-42. This concluded an undefeated season. The Senior boys will be fighting for the National Preparatory Association championship the weekend of March 21-24 at Sheraton College. Moving into Saturday the U14 D1 Boy’s team faced off in a semifinal game against a strong TFS team. The Lions got off to a quick start with strong attacks to the basket and ferocious defence, which led to 17-8 first quarter. The Lions Continued this effort throughout the half which helped them hold a 30-17 score at the half. Out of half TFS made a run of their own to make the game interesting but with strong efforts such as Mikkel Tyne’s 29 points, Pharaoh Wendt’s 21 points and Adam Pearlman’s 13 points TFS valiant effort was not enough as Crestwood managed to win by a score of 69-52 to punch their ticket to CISAA Championship! The U14 Championship did not disappoint as both of the teams gave great effort. The first quarter was very much a back and forth event as both teams were locked up at a score of 15-15 to end the first quarter. Much of the same continued throughout the 2nd quarter which led to a score of 26-22 at the half. This nail-biter game opened up a bit after the half. Your CPC lions started to apply strong full-court defence which created great scoring opportunities and propelled the Lions to a score of 51-40 at the end of the third quarter. The boys were able to build on that lead in the 4th quarter and won by a score of 68-55. The team was once again led by Mikkel Tyne’s 33 points, Pharoah Wendt’s 15 points and Jack Wu and Adam Pearlman’s 8 points. The U14 boys had great contributions from each and everyone who competed throughout the weekend. The Lions completed the season with a undefeated regular season and playoff record. Super proud of each and every one of the boys as they continued to grow as basketball players and young men! With these three championships, added to the three girls championships in the fall, history has been made in the CISAA. Go Lions Go!! 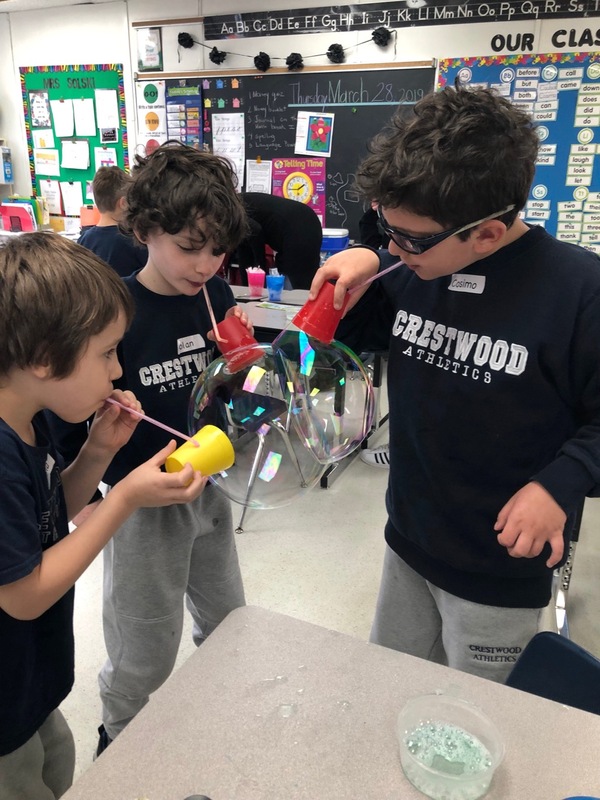 This week at Crestwood, we celebrated multiple awards and achievements from our many talented students. Congratulations to all! Georgia Gardner won an award of merit for playwriting from the National Theatre School Drama Festival. Armin Selzner earned the Silver Duke of Edinburgh award. He committed an average of an hour a week for an entire year to earn his Ski Instructor Certificate, as well as volunteering as a swim coach for young children while competing and practicing for a swim team. Awards were given to students who wrote the junior American Mathematics Competition (AMC). 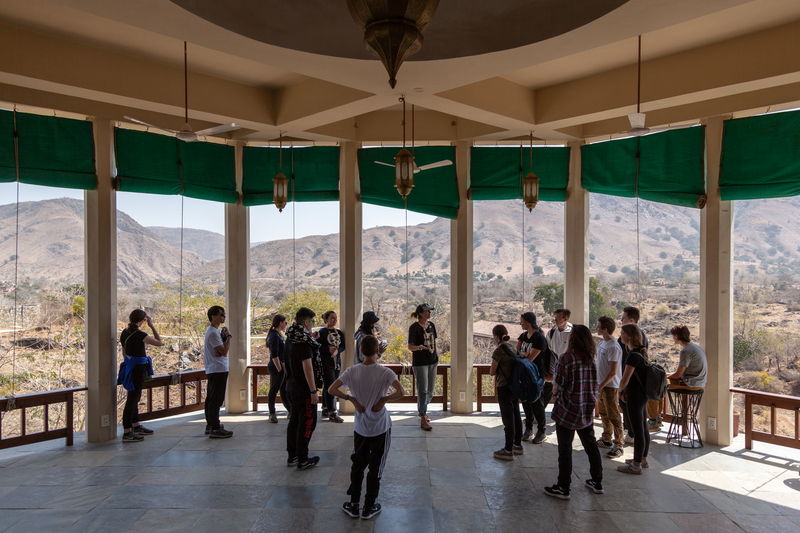 Participants included Beatrice Park, Betty Liu, Karina Filipiuk, Koby Seeligsohn, Sara Farahi Fard, Thomas Mueller, and Tony Qu. Our third place writer at Crestwood was Simran Anand. Second place was tied between Steven Li and Jack Wu. Finally, our first place writer was Jason Tang. Ellenoor Shameli won the Best Delegate Award in her historical crisis committee at the University of Toronto Model United Nations conference. Every year, Crestwood students are encouraged to submit their creative writing, poetry and artistic works to the Royal Canadian Legion’s Remembrance Day contest. This contest allows students to use their creative abilities to honour and commemorate the sacrifice made by members of Canada’s armed forces in military conflicts throughout our nation’s history. 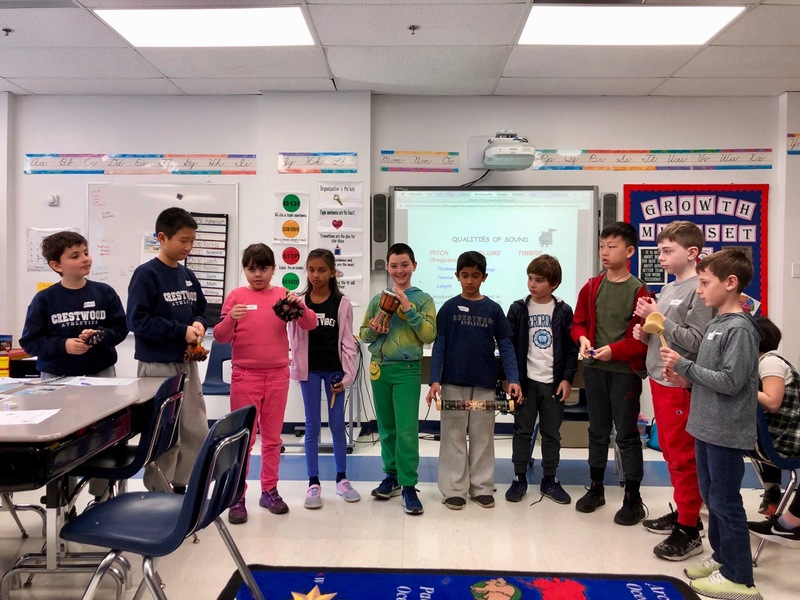 This year, many students were recognized by our local Legion branch for their creative and artistic works, and earned special commendation (and a cash prize) for their creations.